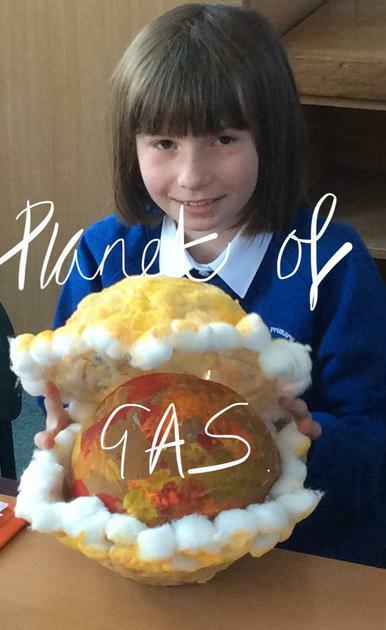 Science: Phases of the Moom. 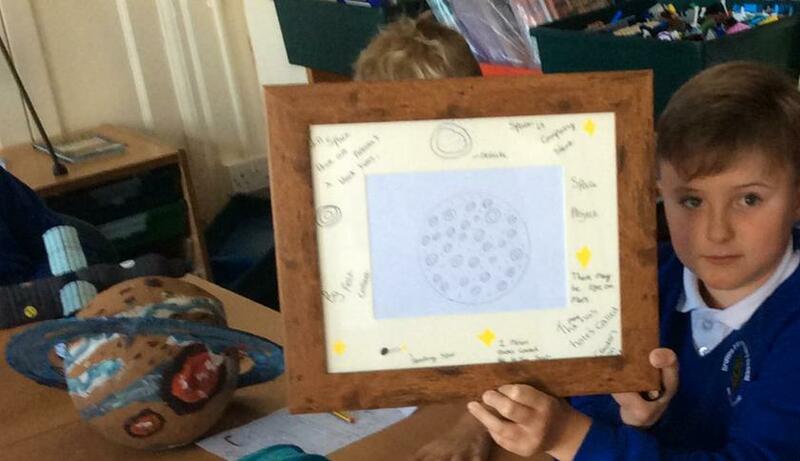 Over the past few weeks we have been watching the phases of the moon each evening. 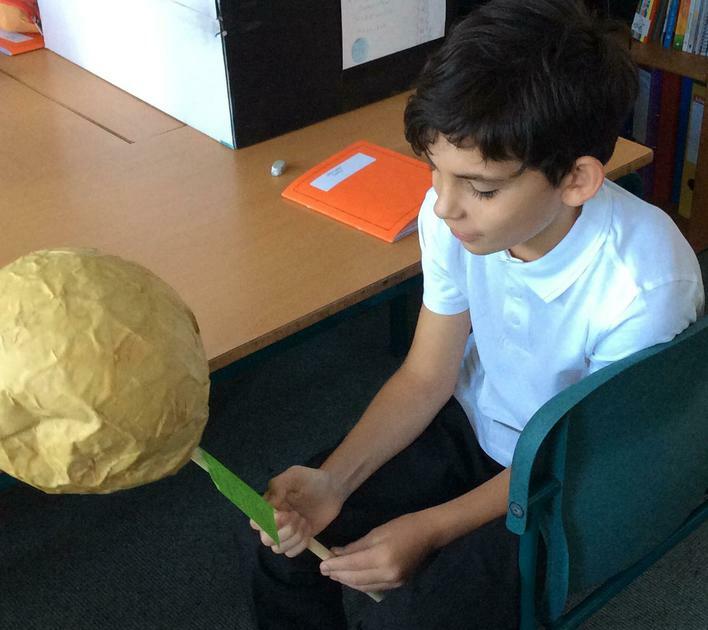 Tonight will be a full moon. 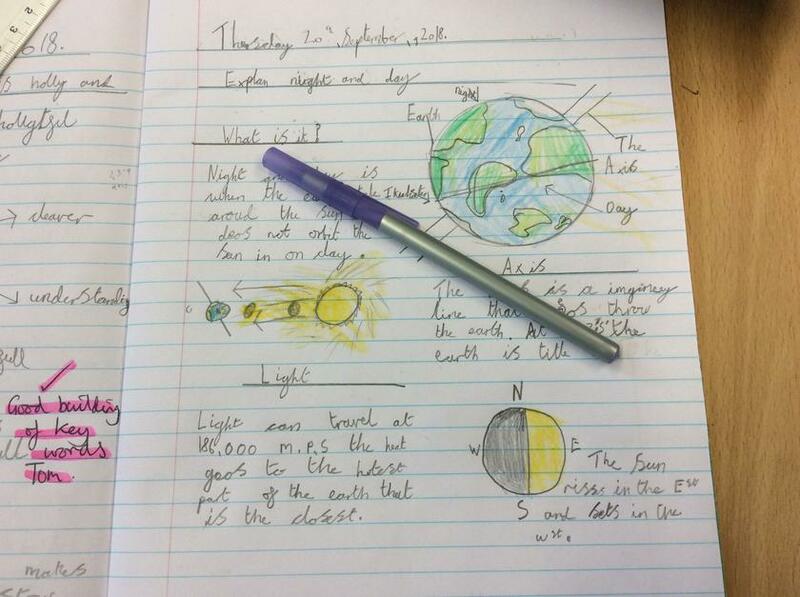 In Science we researched further and began to explain why the moon looks different through the month. 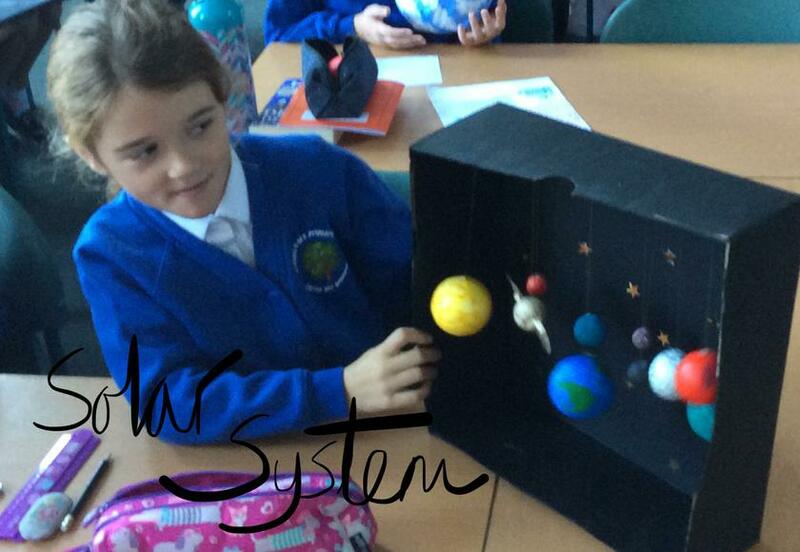 Science: Relative distances of the planets from our sun. 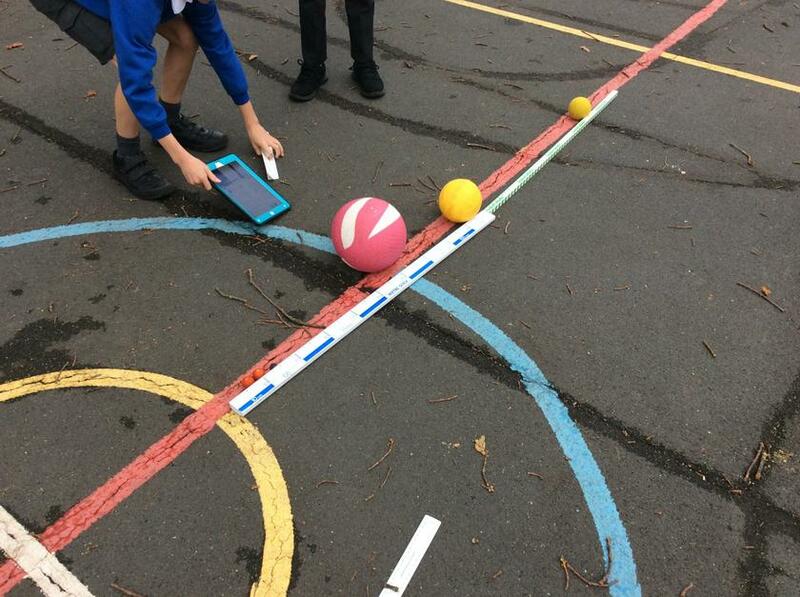 Today we continued our research on planet distances. 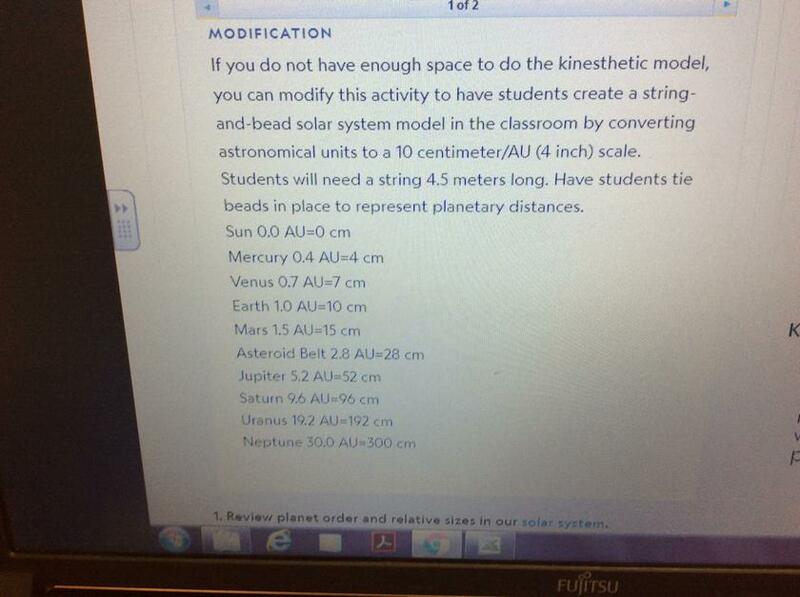 Distances are often measured using An Astronimical unit. 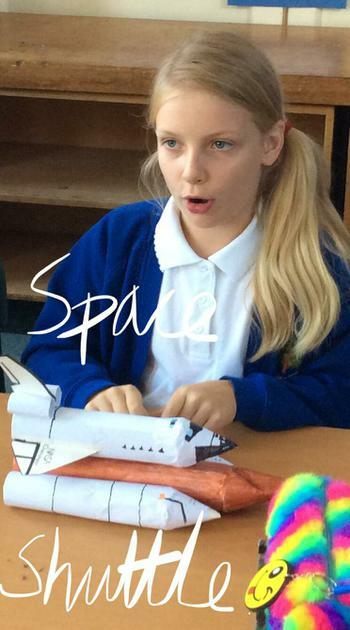 An A.U. 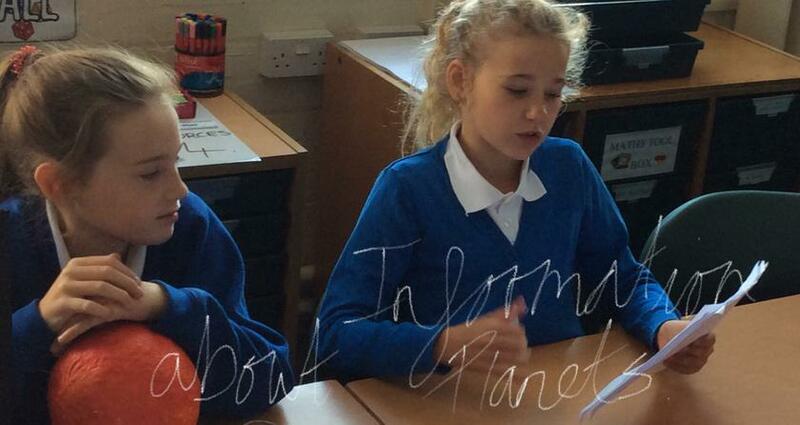 Is approximately 93,000,000 miles. 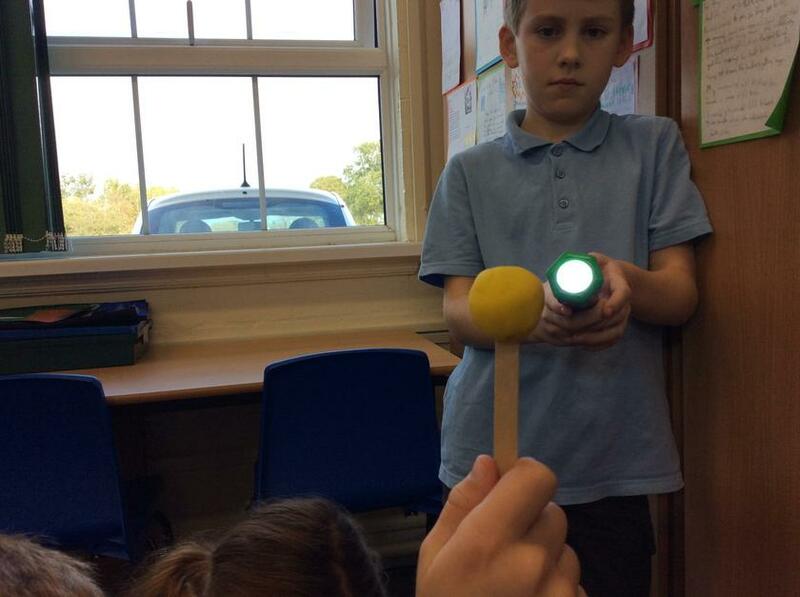 This is the distance of our earth from the sun. 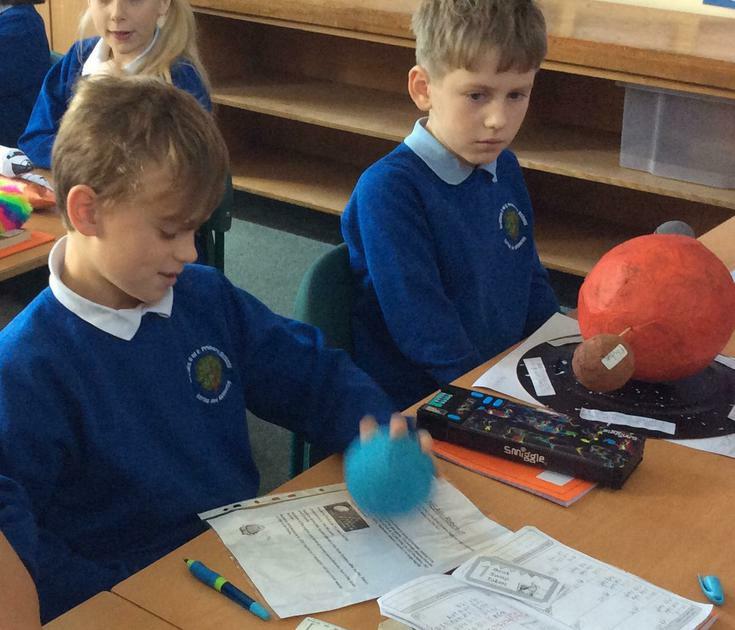 Using distances from our research we set out our planets in order. 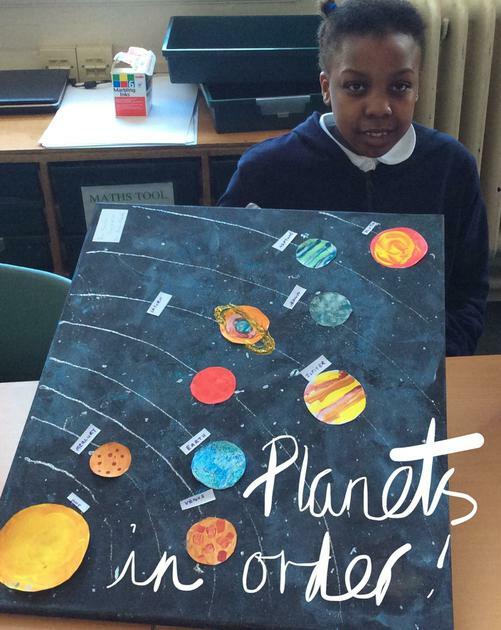 Science : Planets in order. 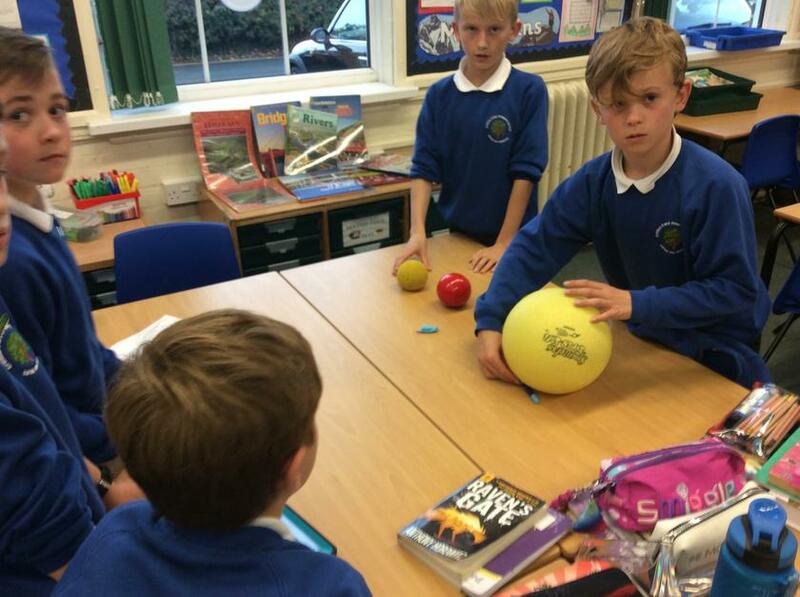 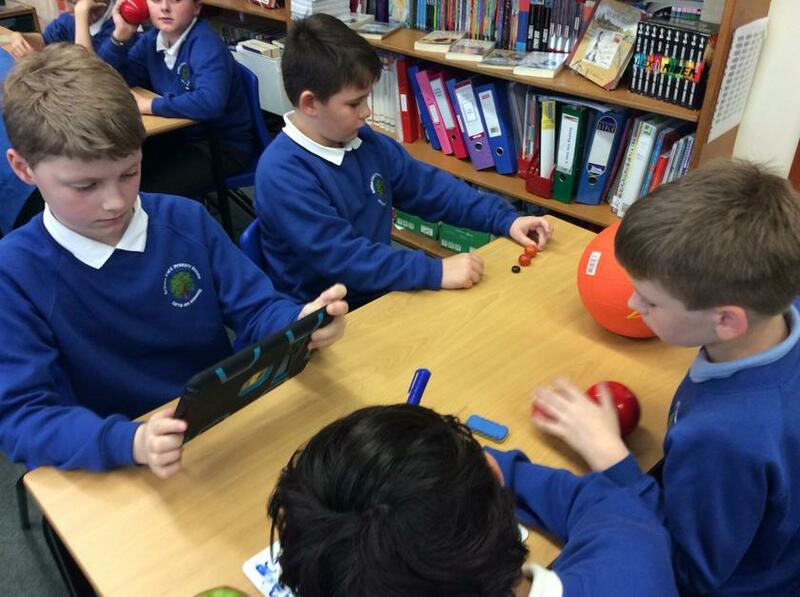 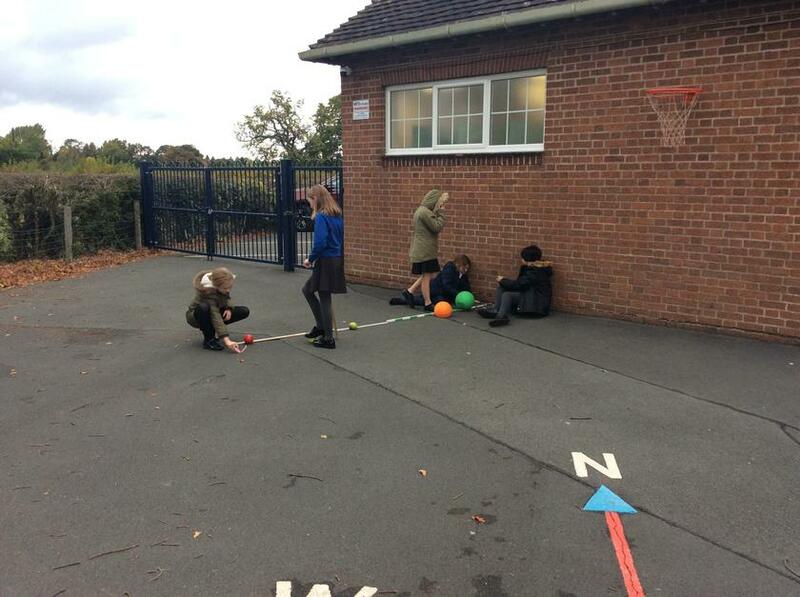 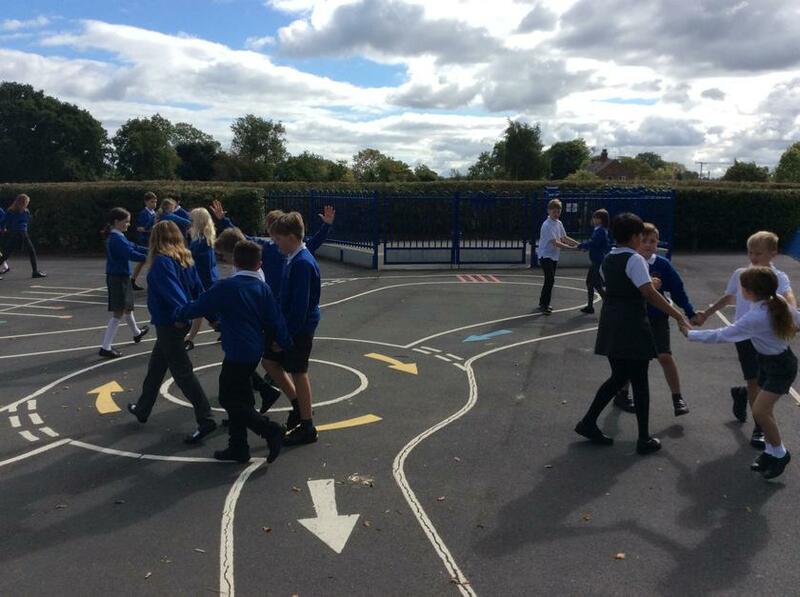 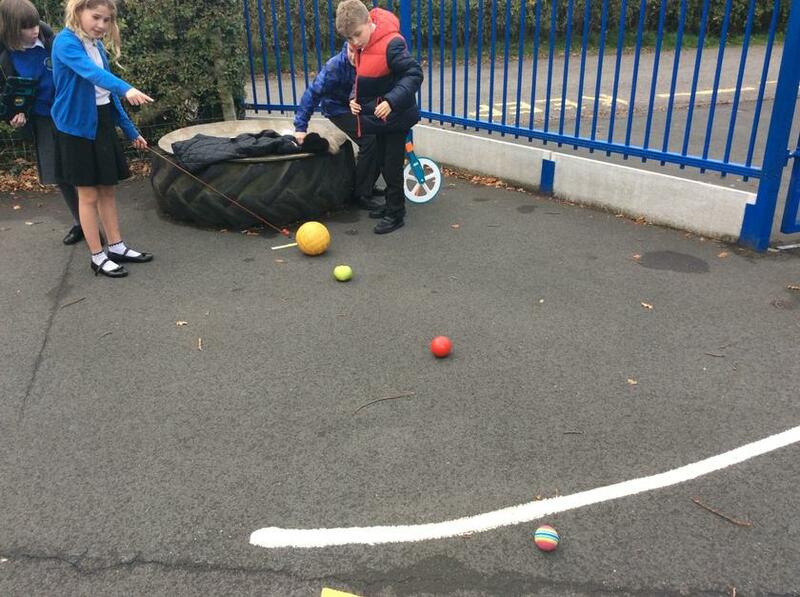 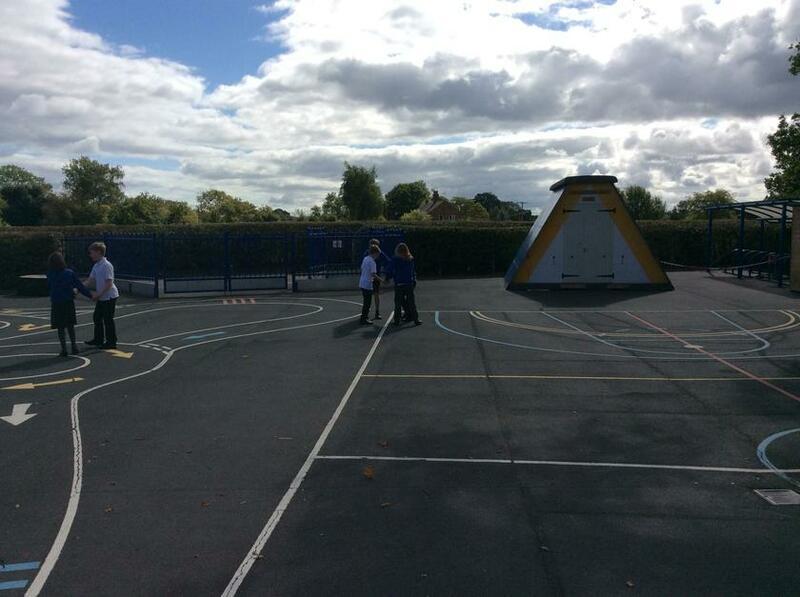 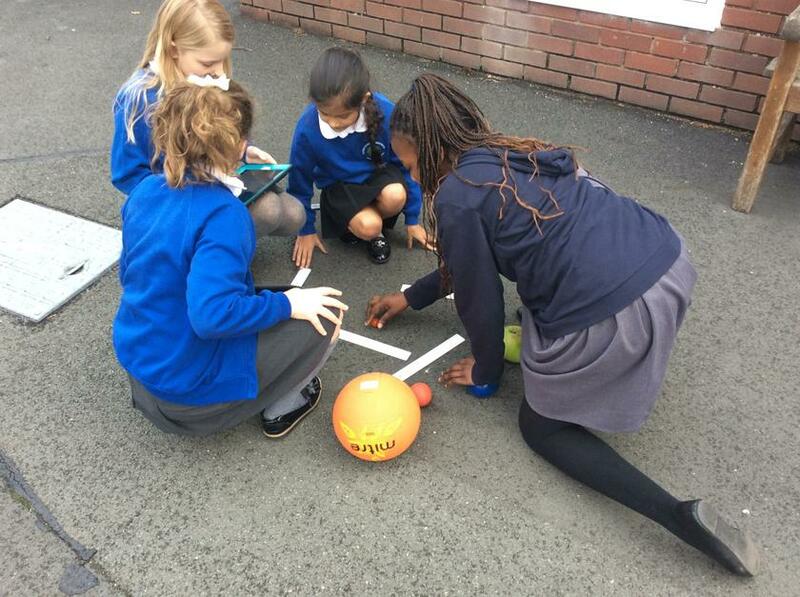 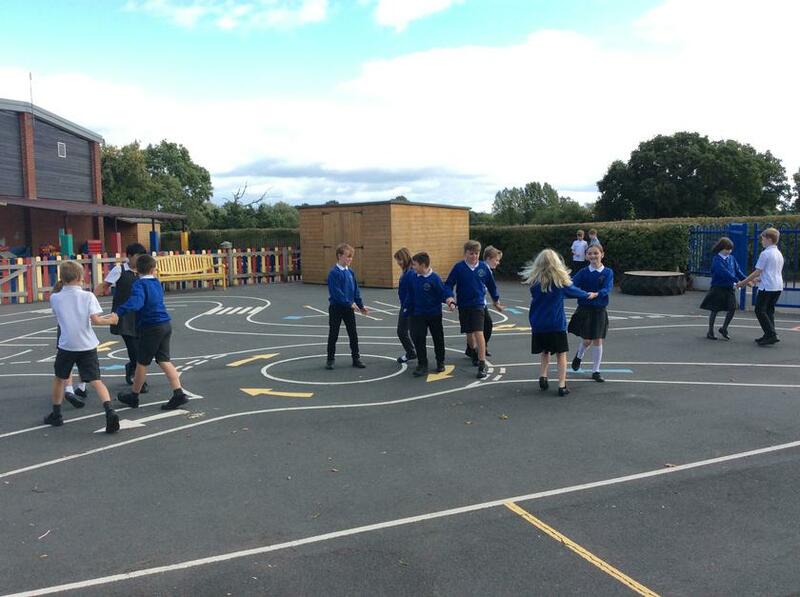 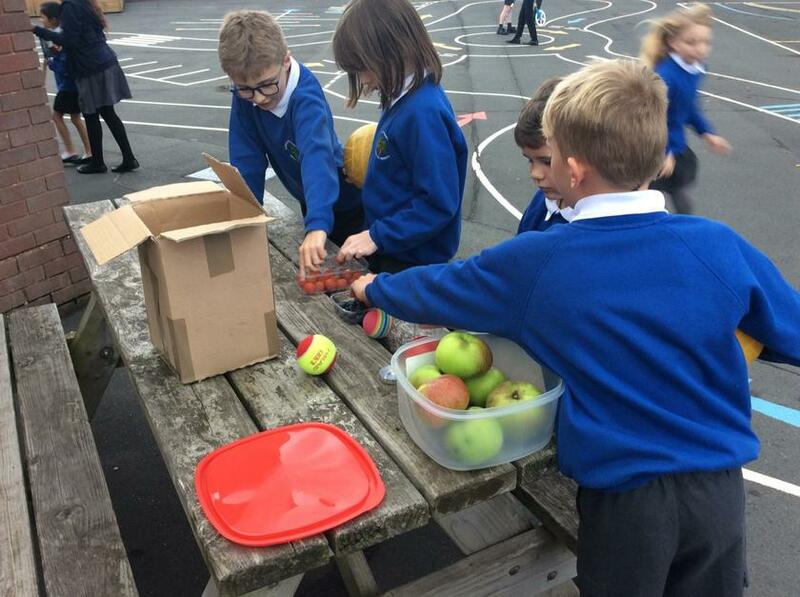 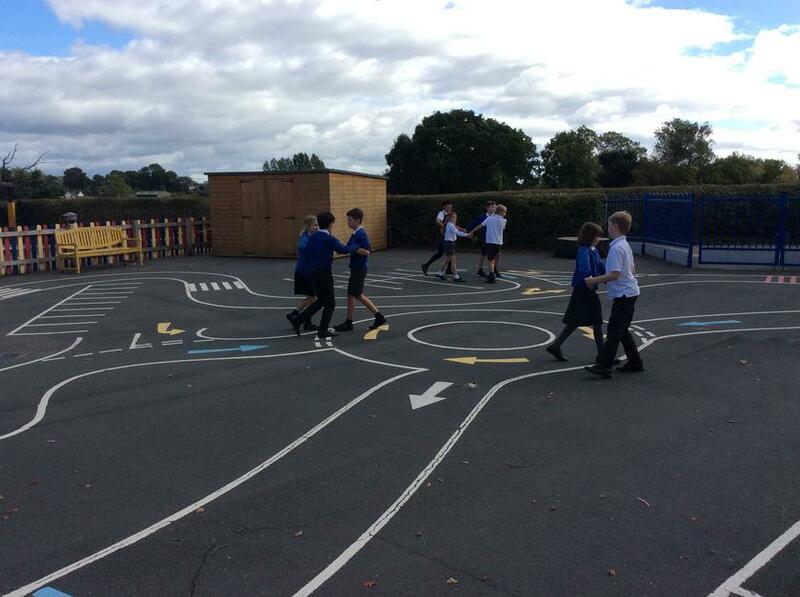 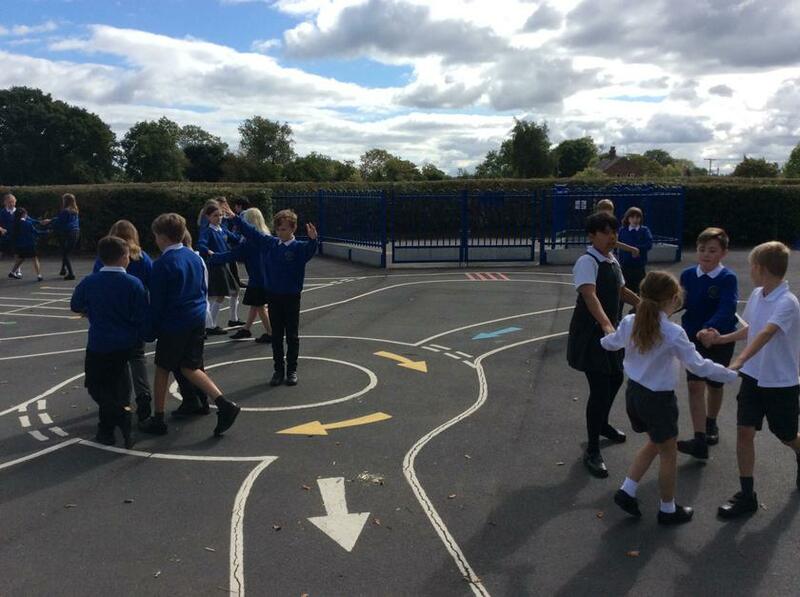 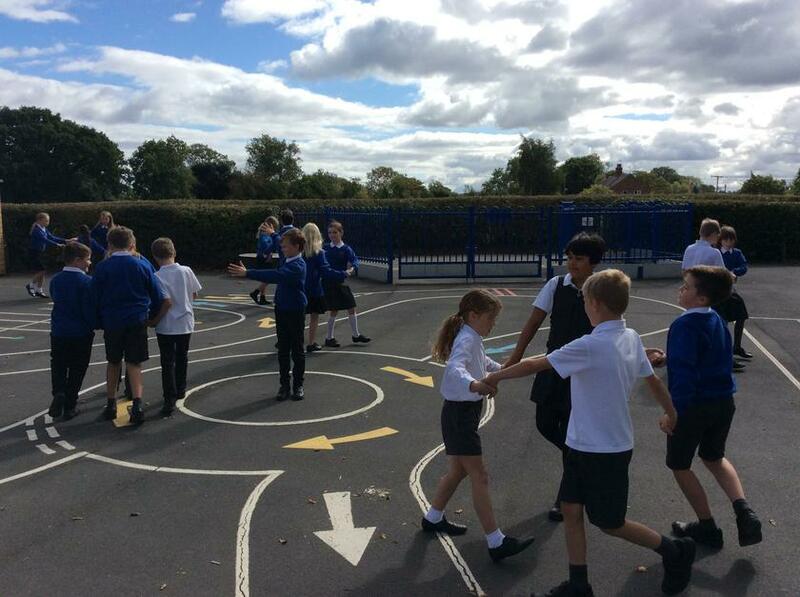 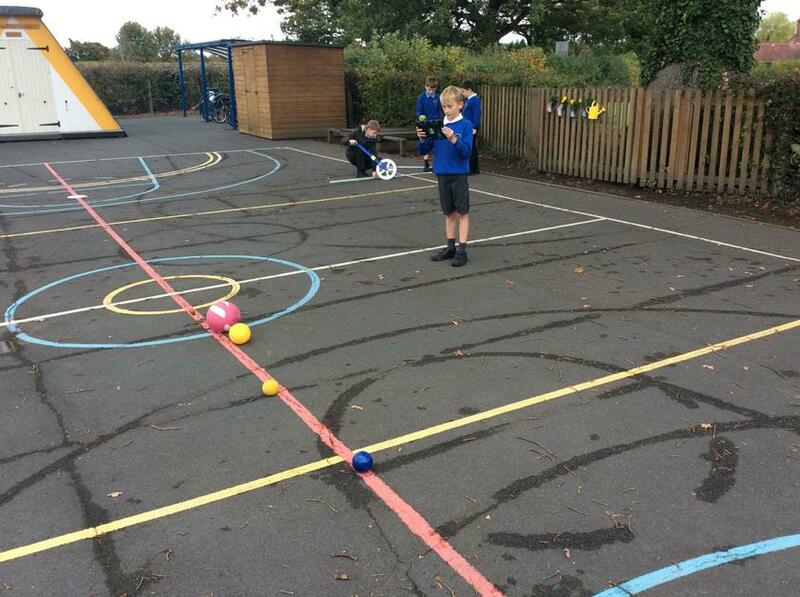 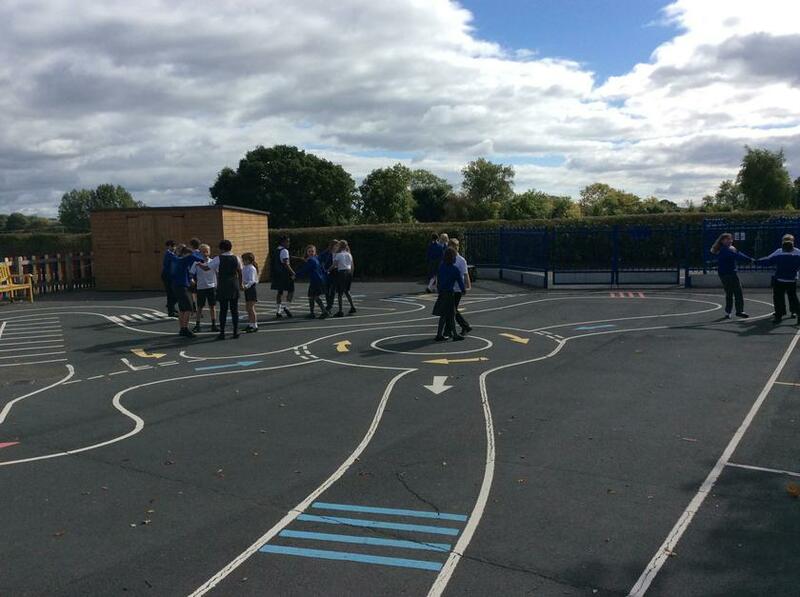 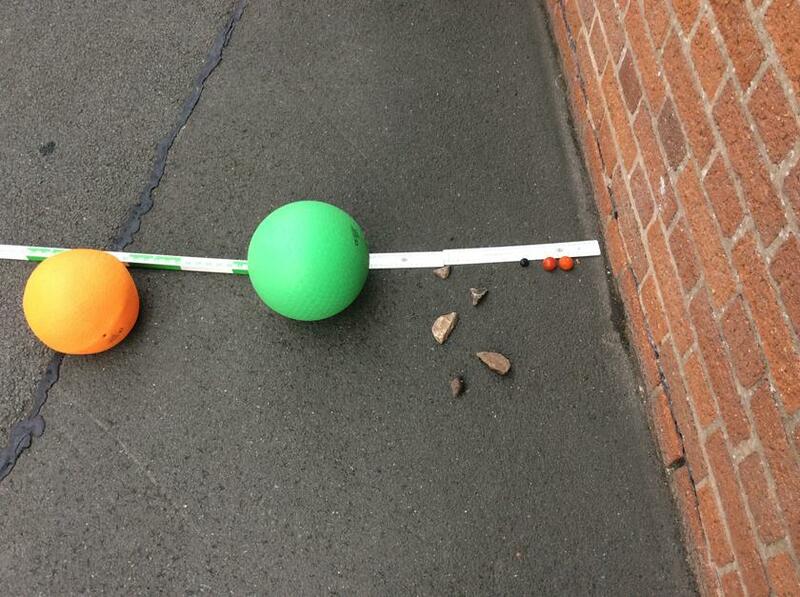 Today we used fruit and some PE equipment to classify the relevant sizes of the 8 planets in our solar system. 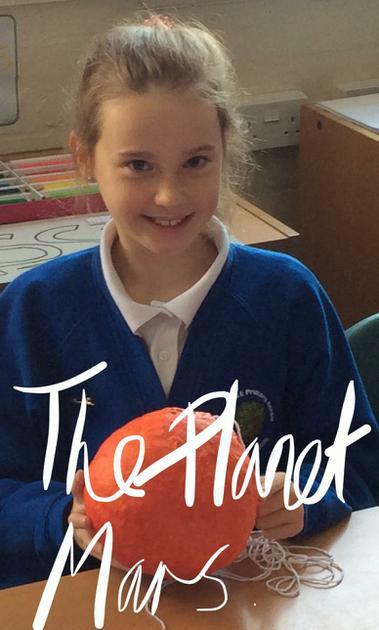 It was incredible to see how a tiny earth tomato compares to the huge gas giant football of Jupiter. 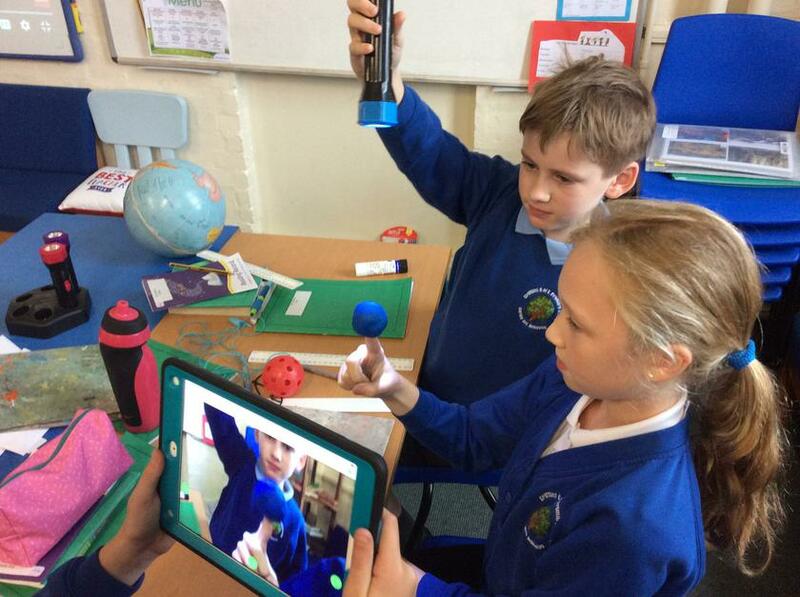 Working together we ordered the planets and stored our information on our electronic portfolio, Seesaw. 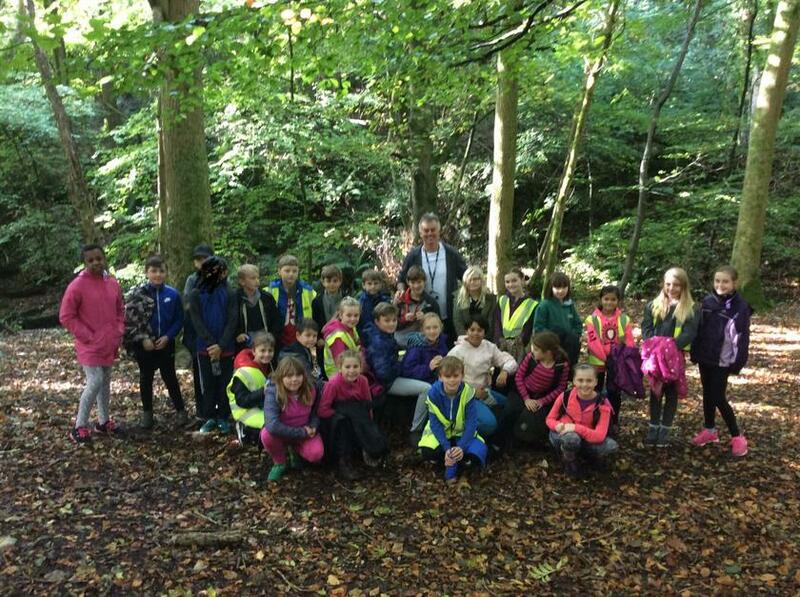 Our first trip out as a class was a wonderful experience. 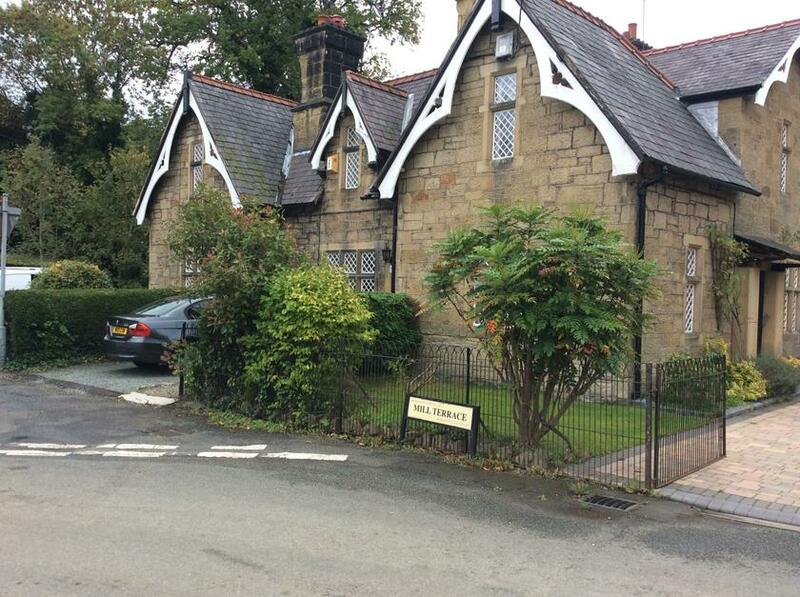 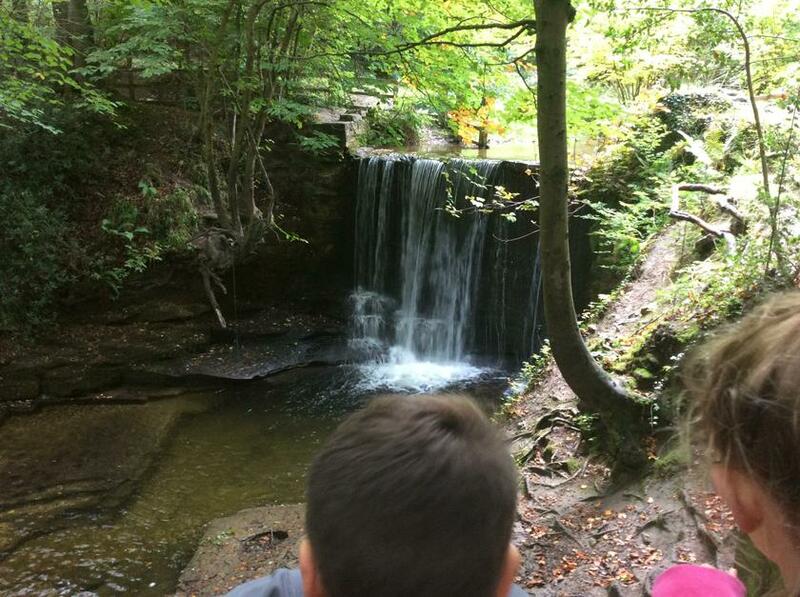 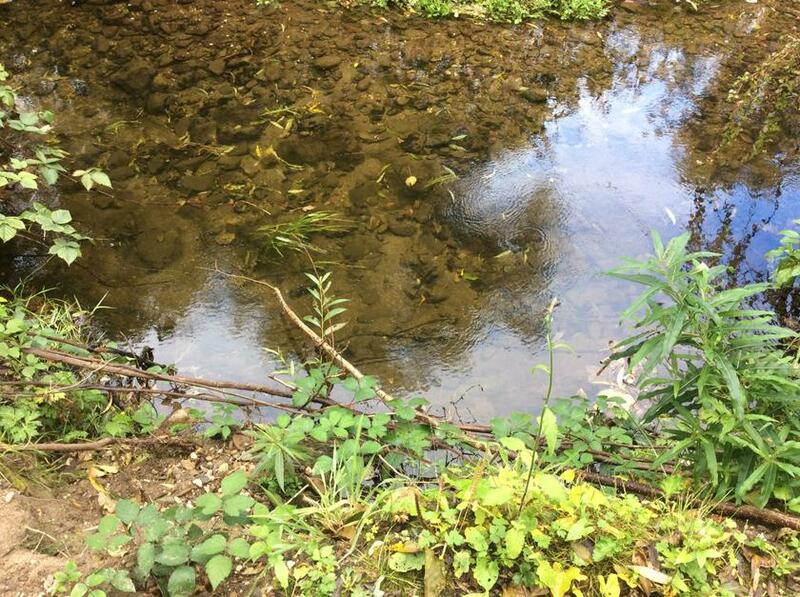 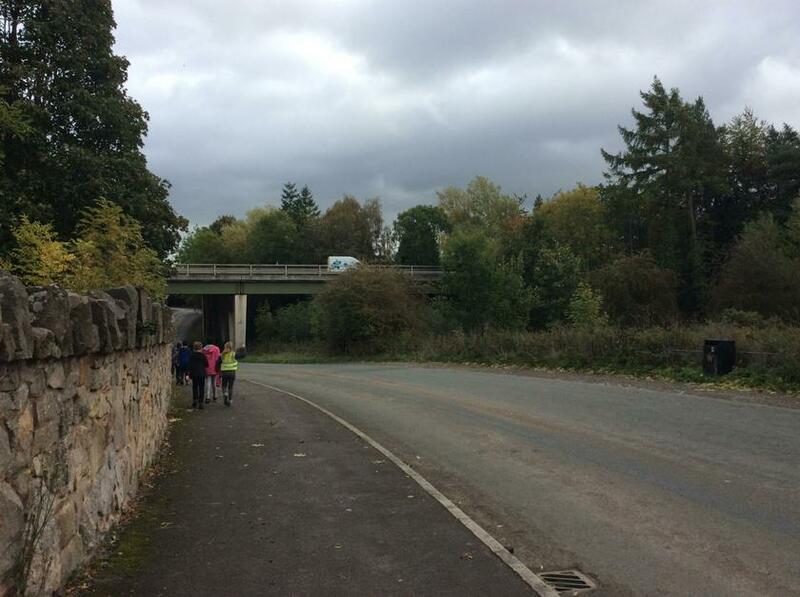 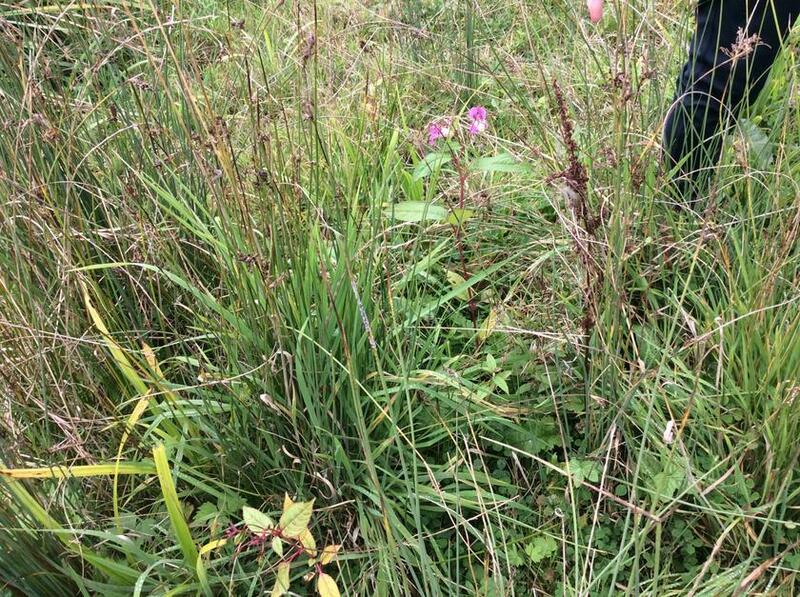 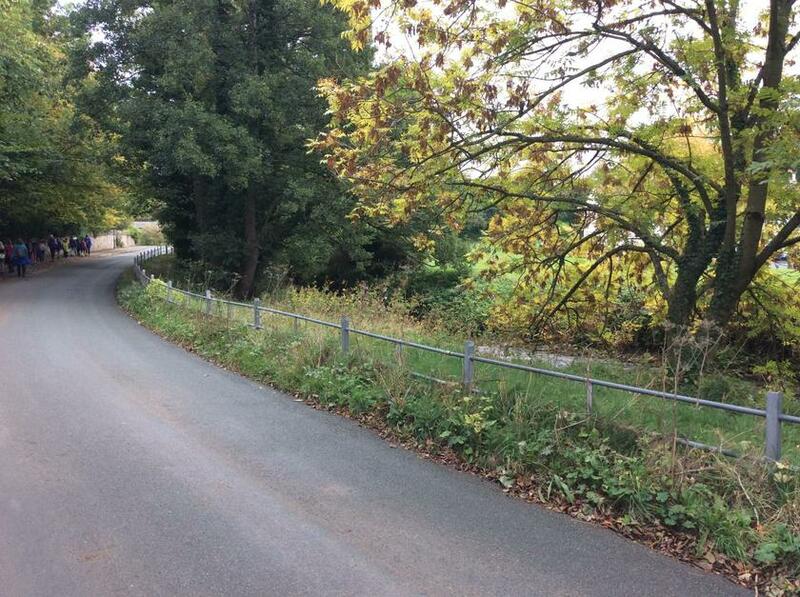 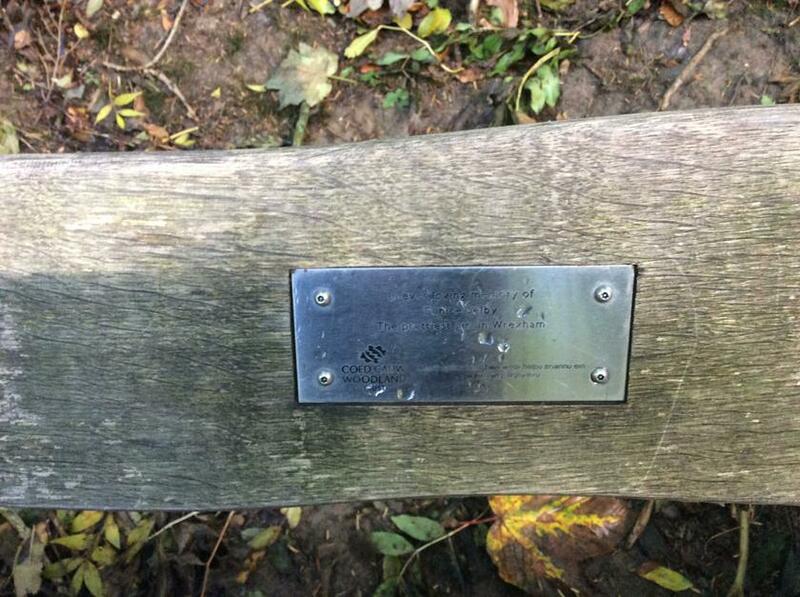 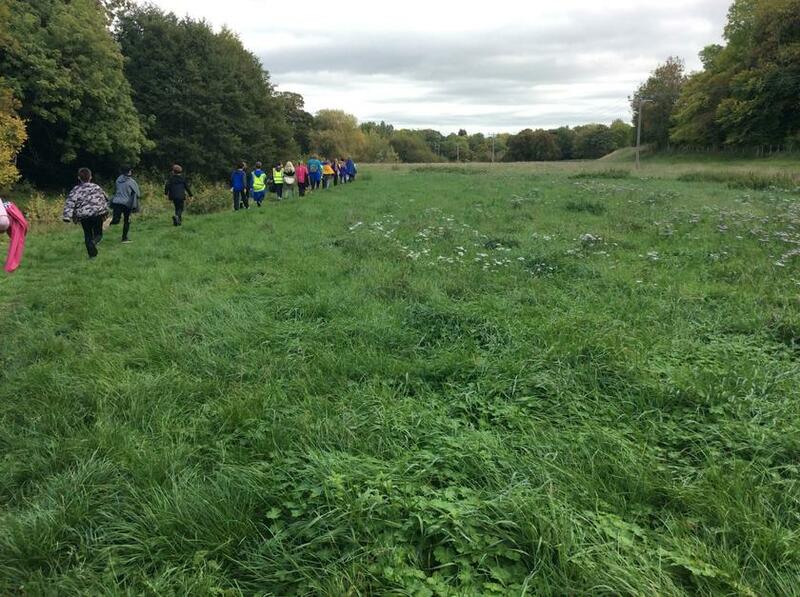 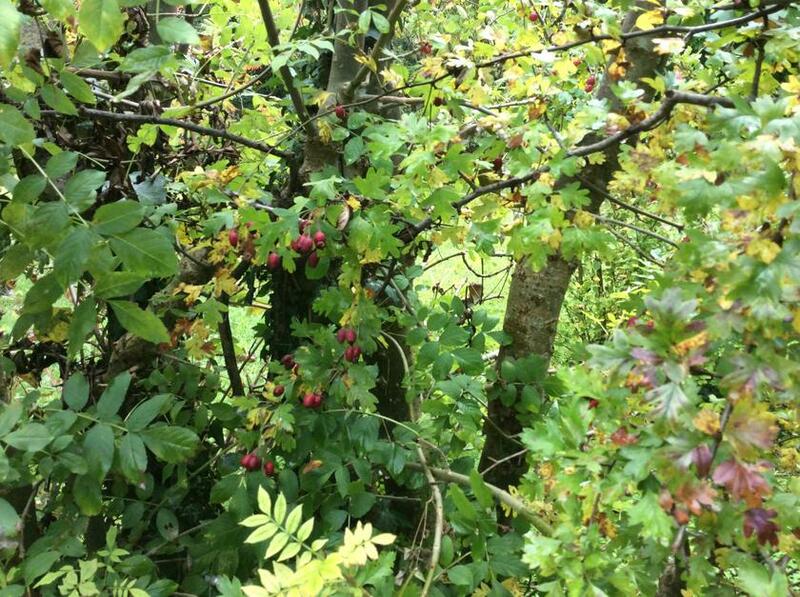 We began with a country walk from Coedpoeth and the Minera Lead Mine alongside the River Clywedog to Erddig. 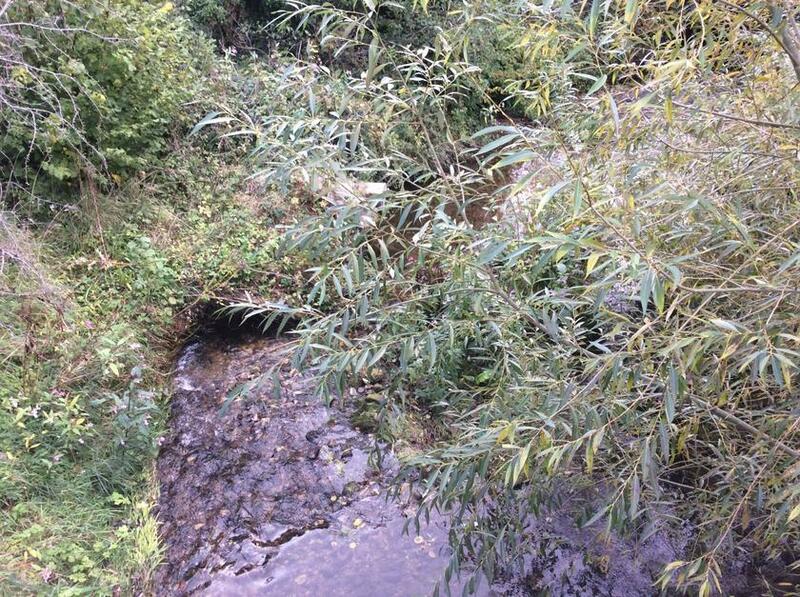 Along the way we were able to follow this amazing river with its beautiful meandering water, forest area, narrow pathways and even a magical waterfall! 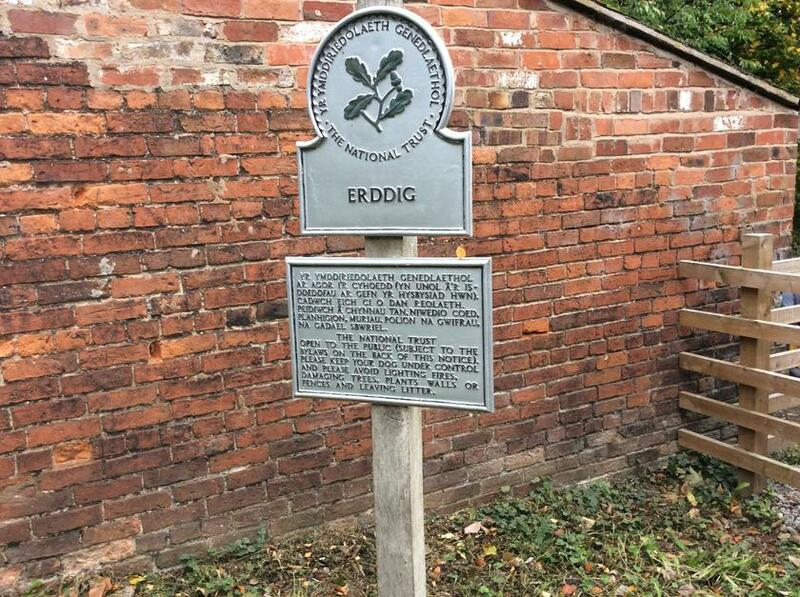 As soon as we arrived at Erddig we were treated to a fire pit and forest school seating where we ate our lunch. 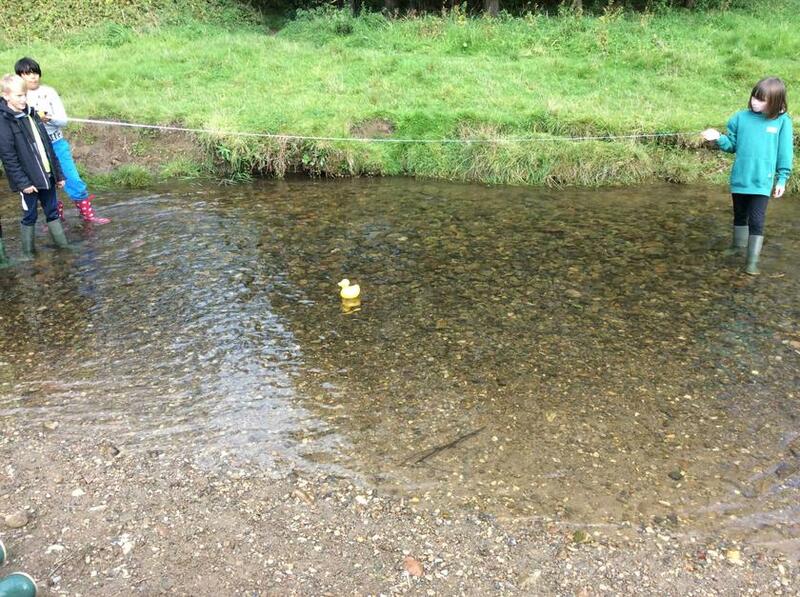 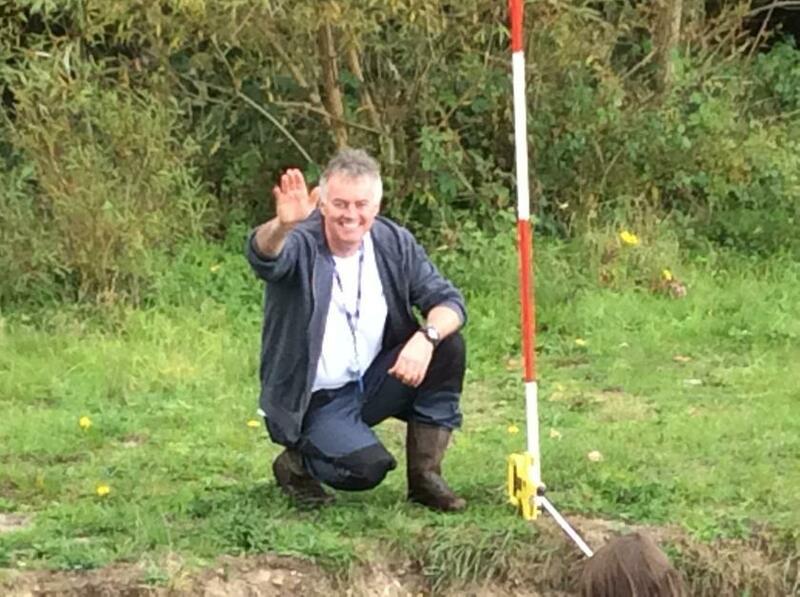 The afternoon session began with a study of the river and measuring both the depth of the river in a series of measurements and also measuring the speed of the river with plastic ducks ! 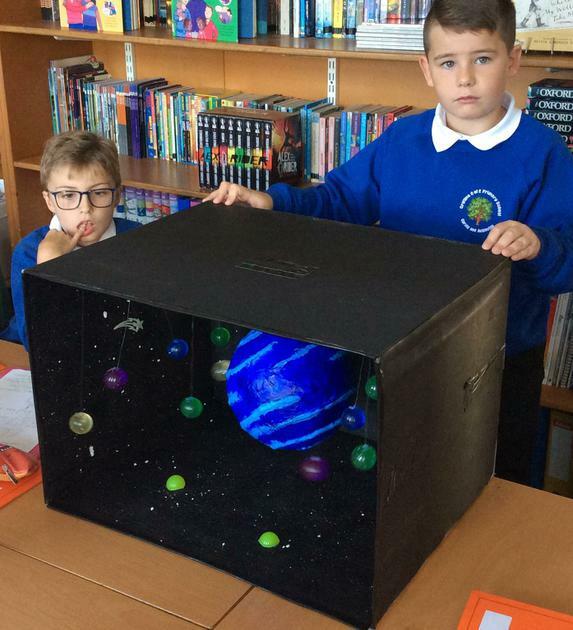 This week we started to investigate what happens here on earth to create night and day. 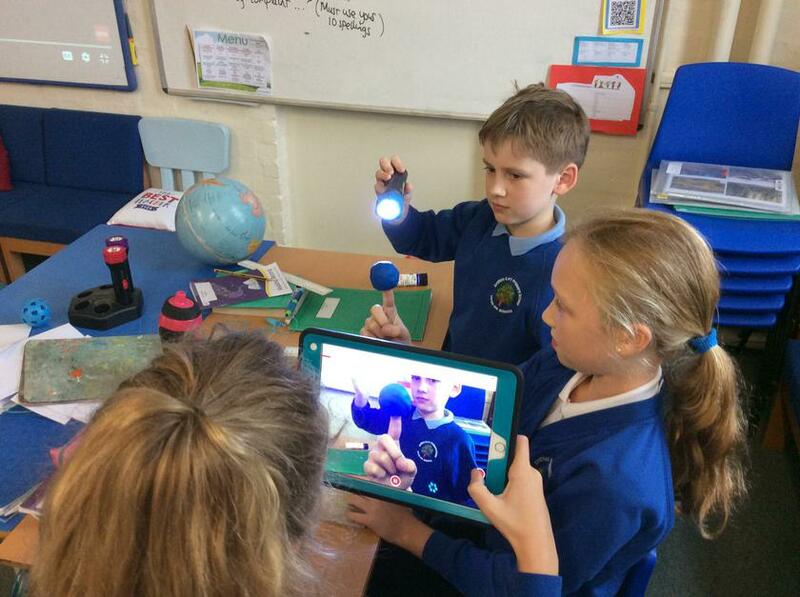 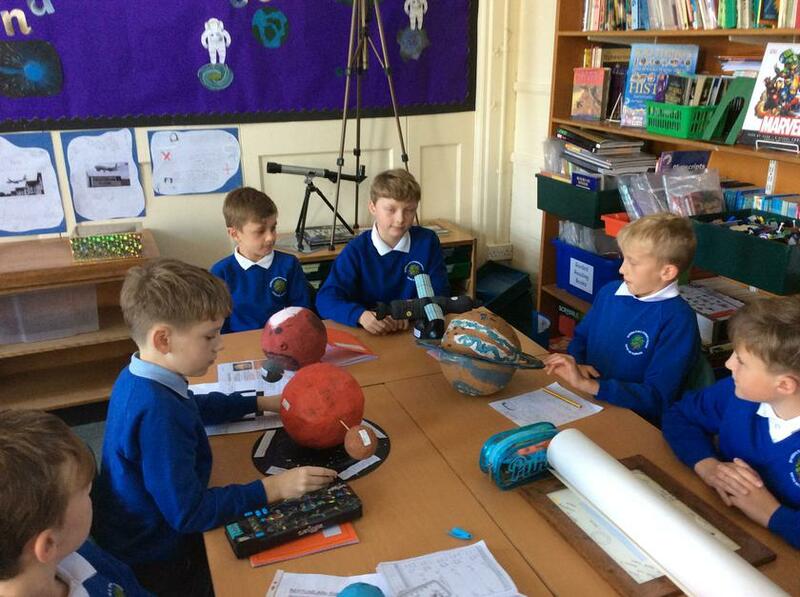 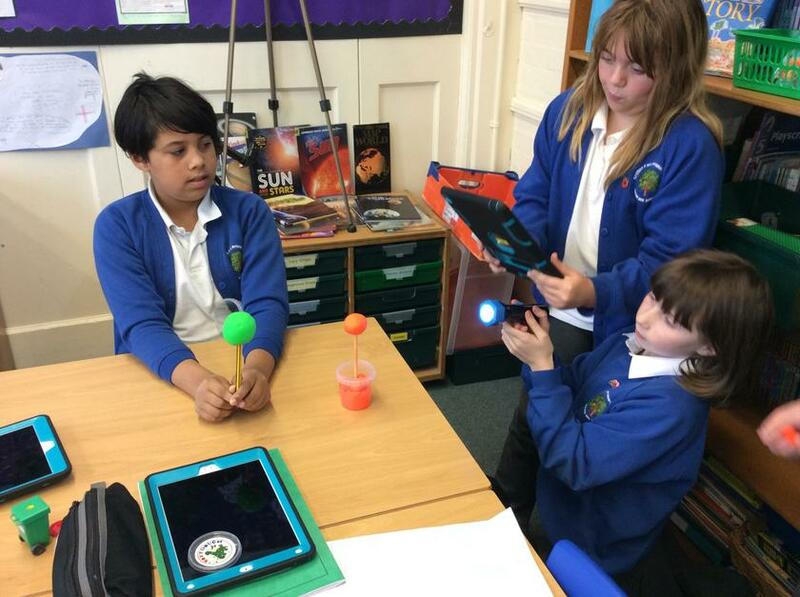 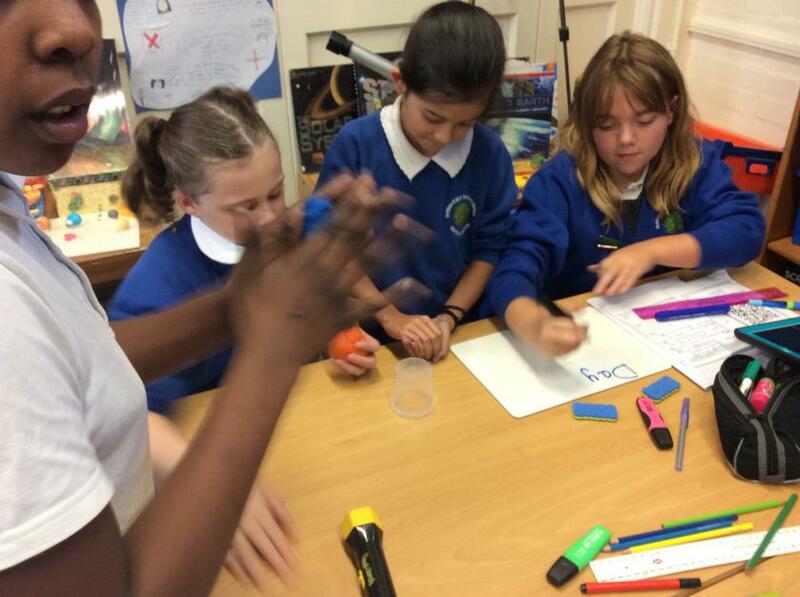 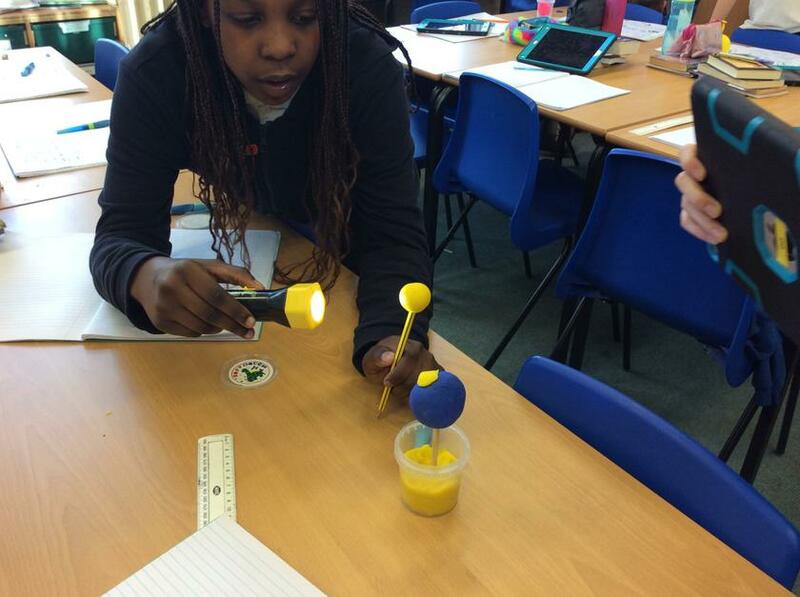 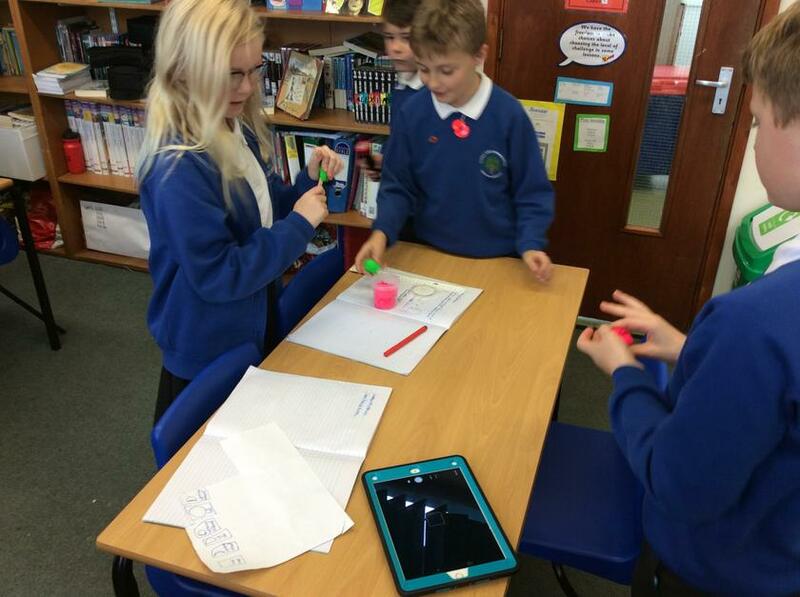 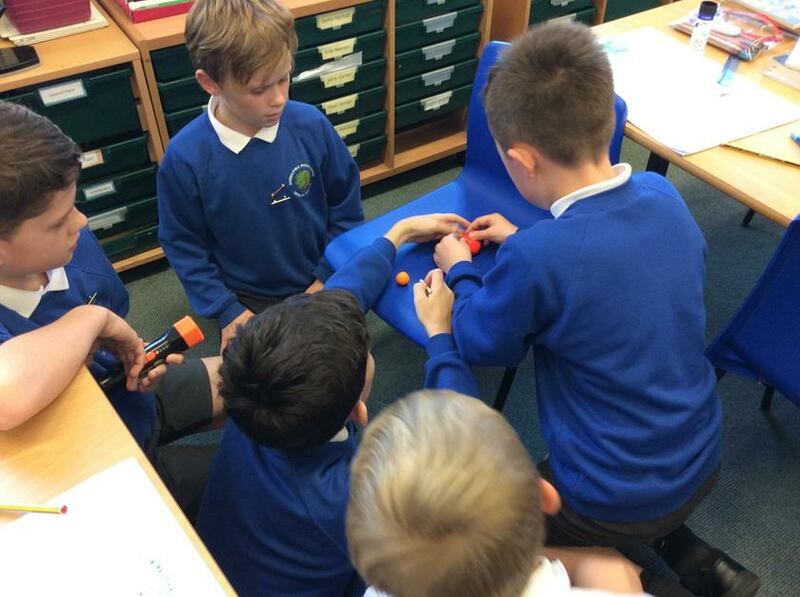 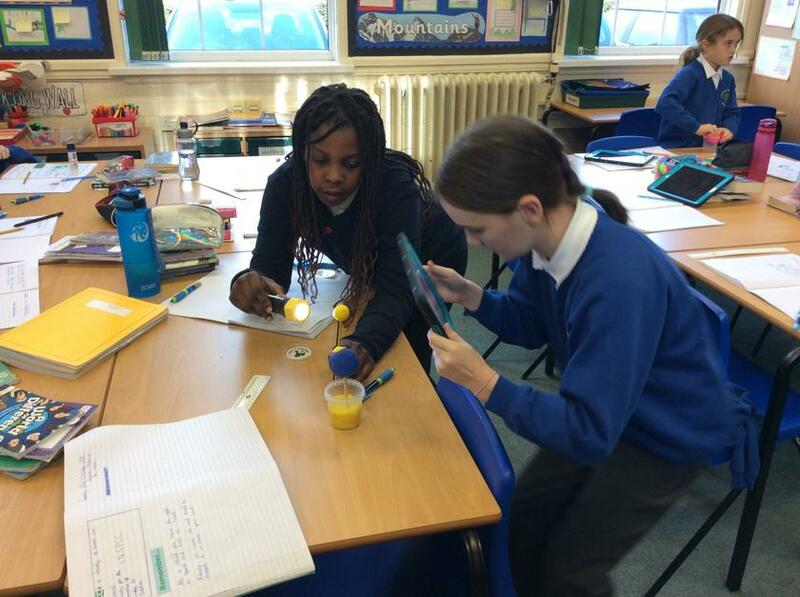 Once we had researched we began making our own spherical planet, using a torch and other props to explain our results. 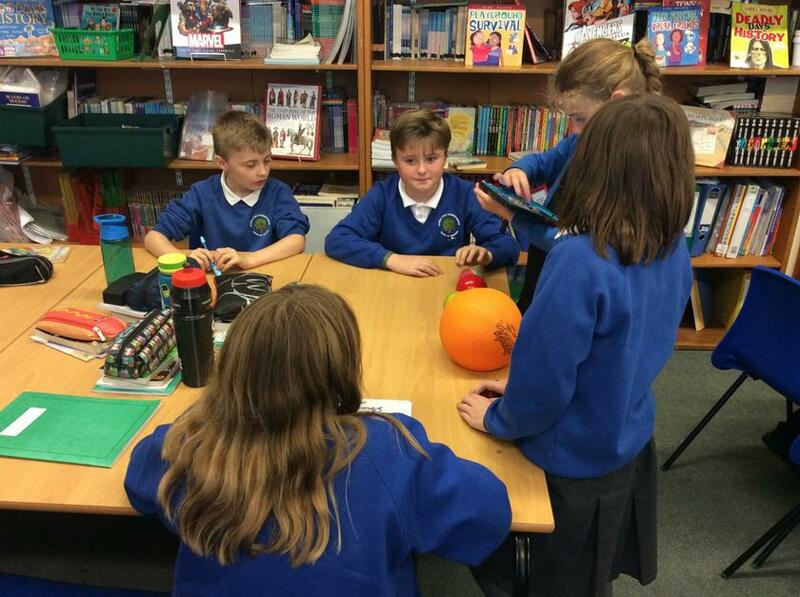 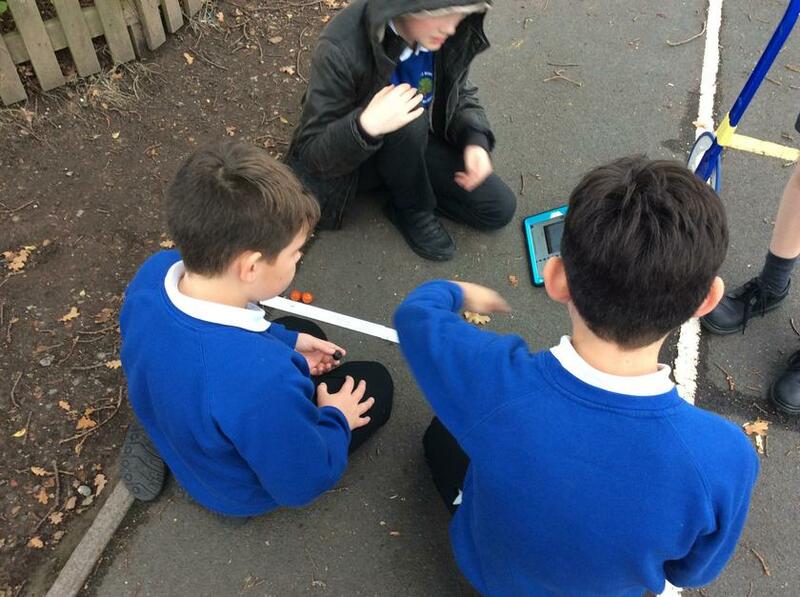 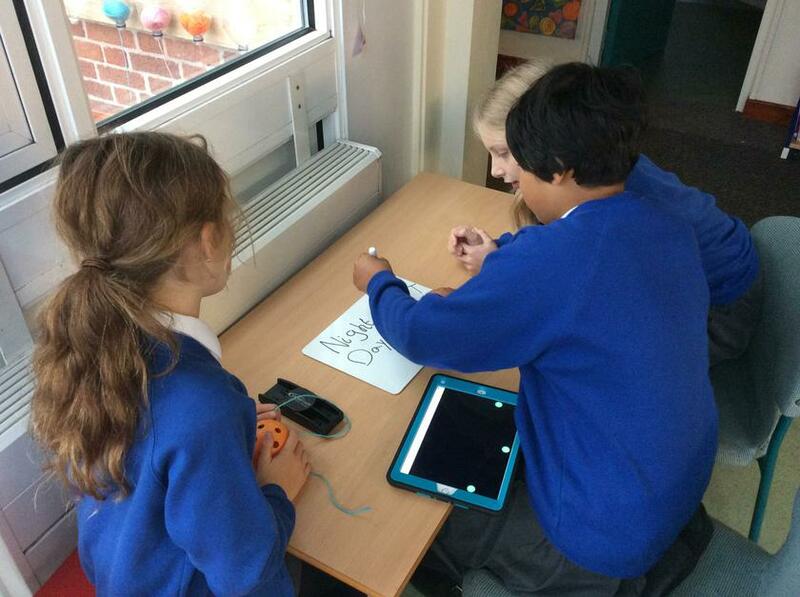 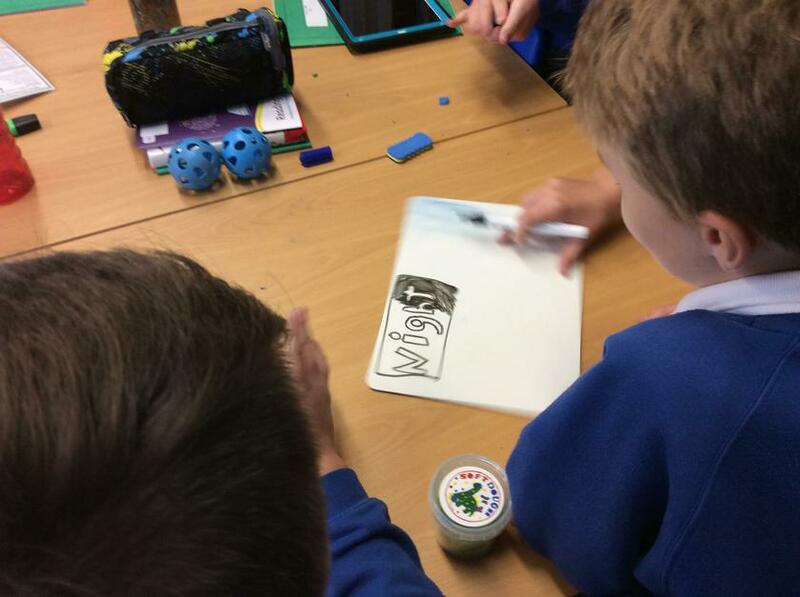 In our teams we recorded our work onto our Seesaw accounts so that we could view our work and the work of others. 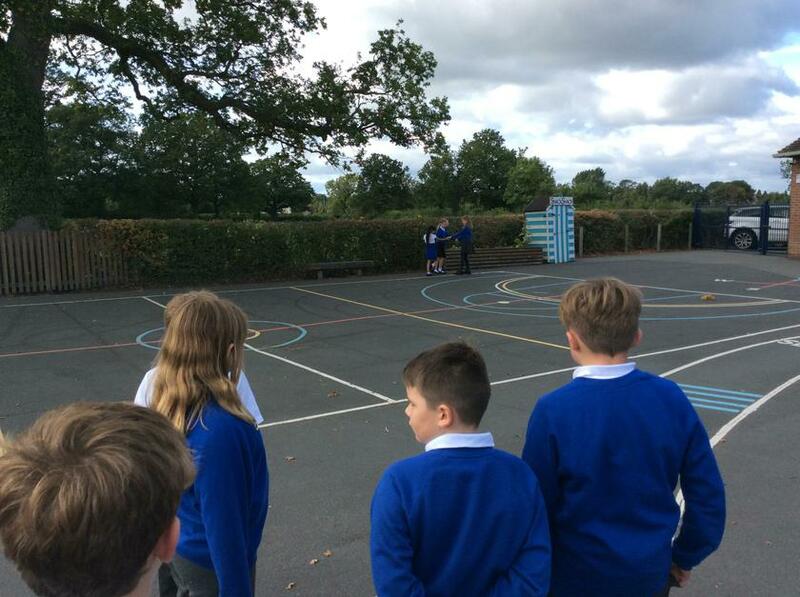 One rotation every 24 hours. 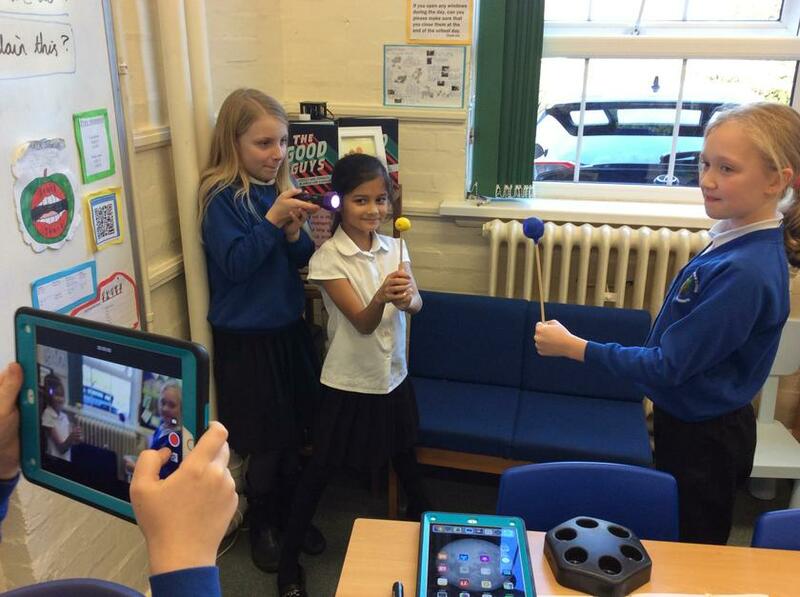 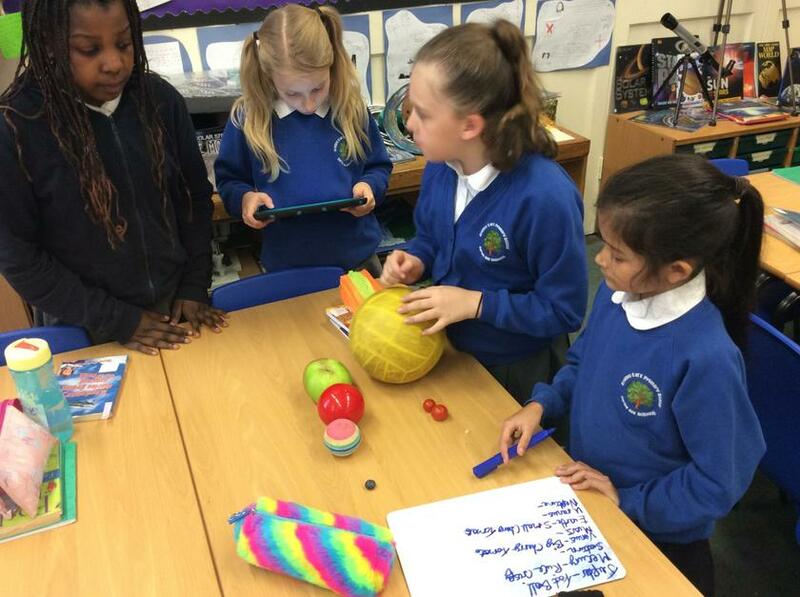 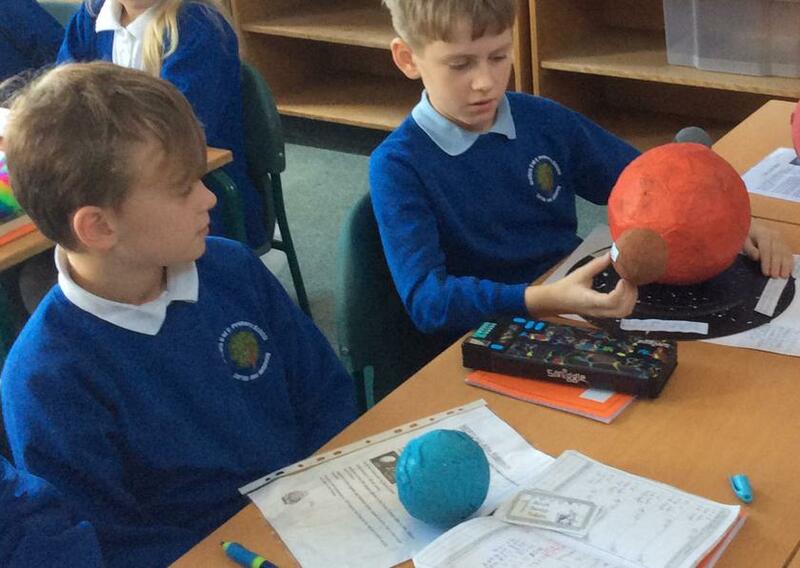 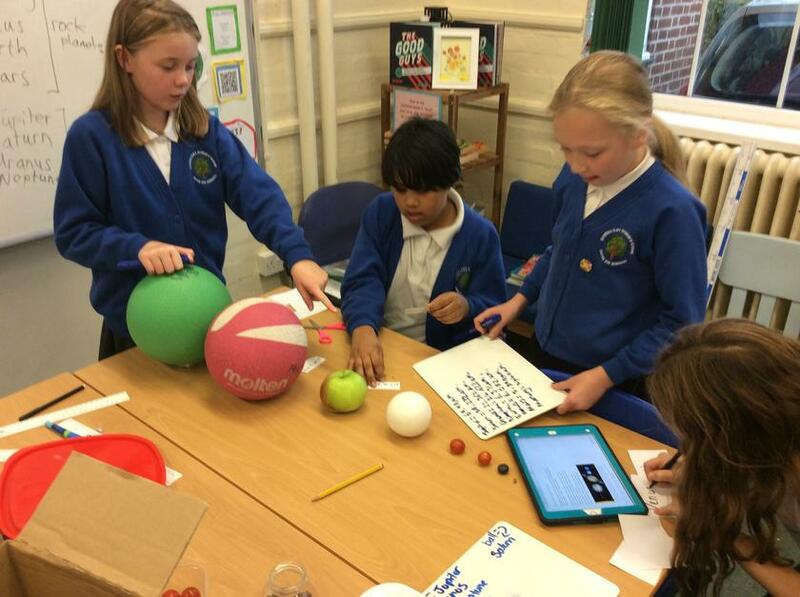 In Science we wanted to investigate the concept of each planet orbiting the sun. 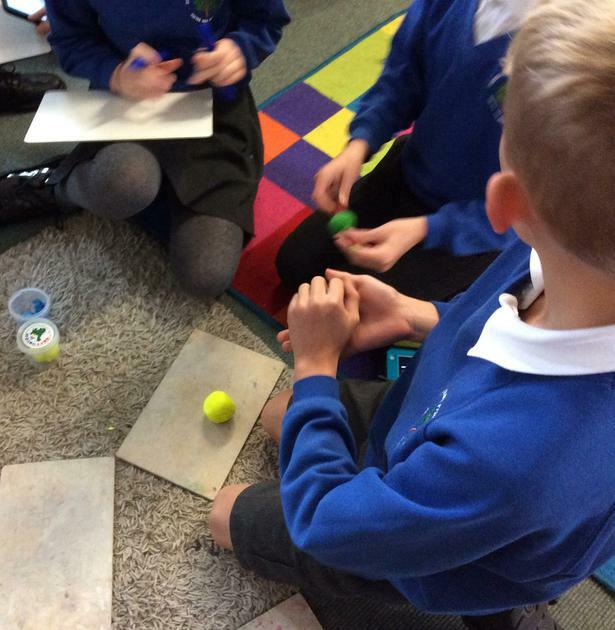 After practising rotating and floating through space we soon realised how planets who orbit further away from the sun take longer to complete one rotation. 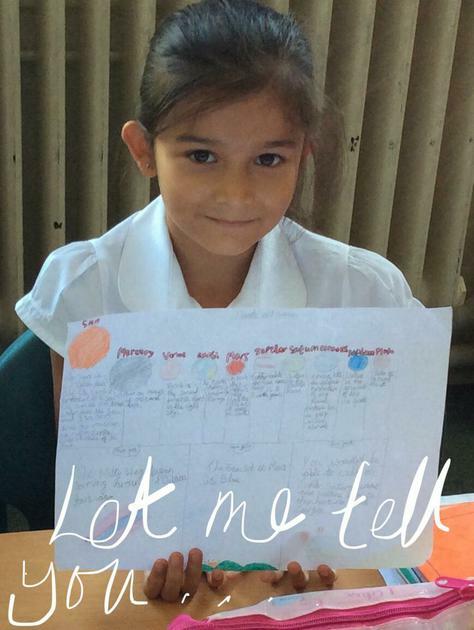 We began by talking about our homework which we had completed over the holidays. 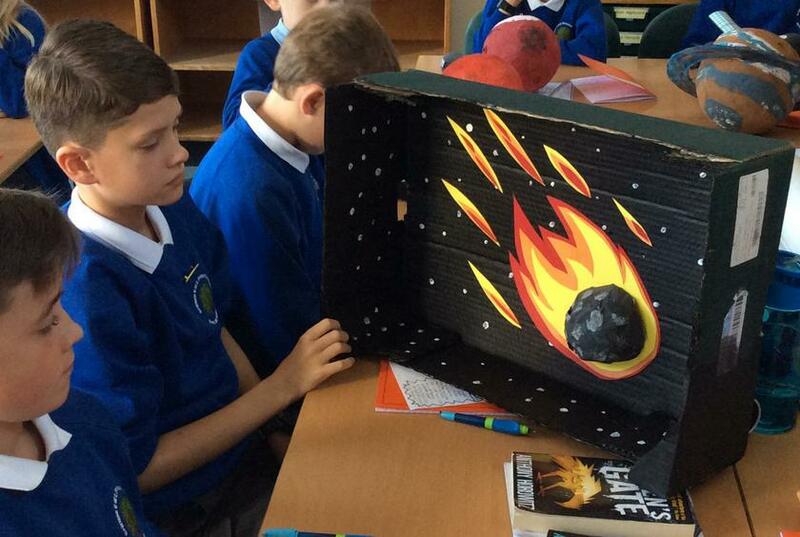 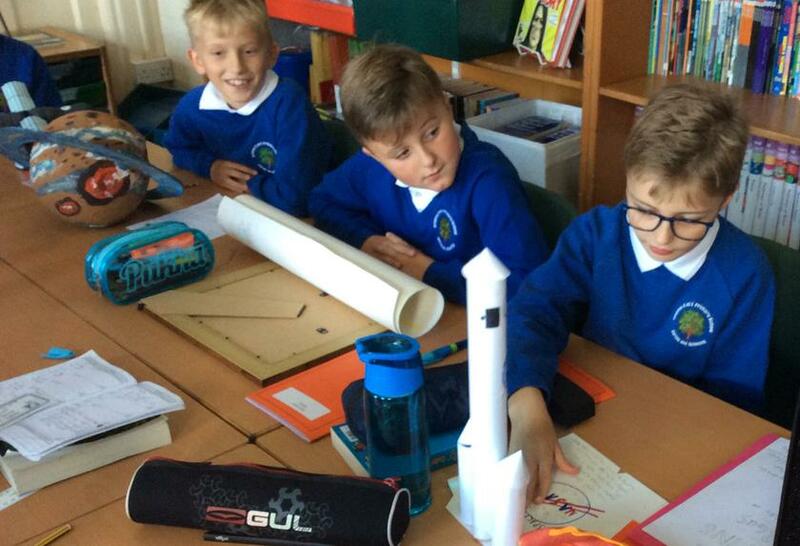 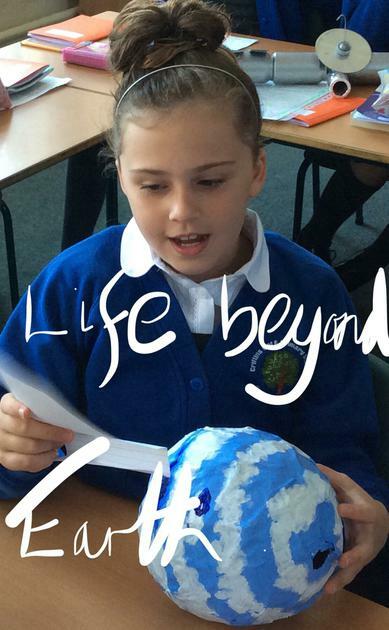 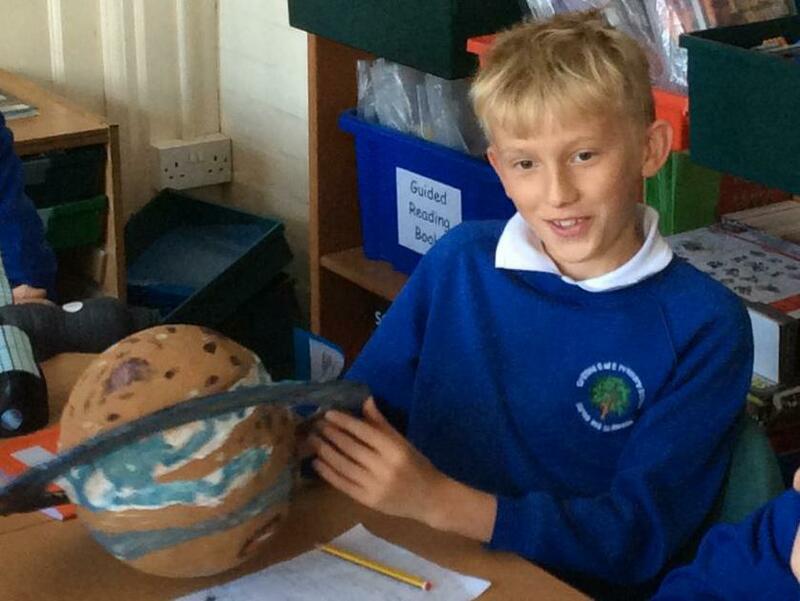 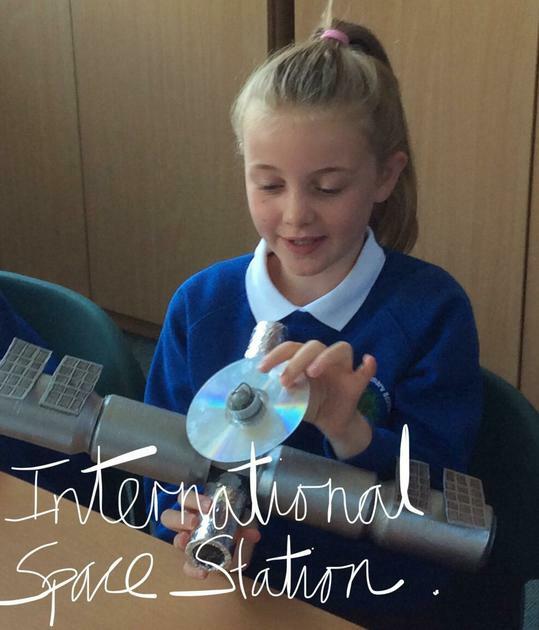 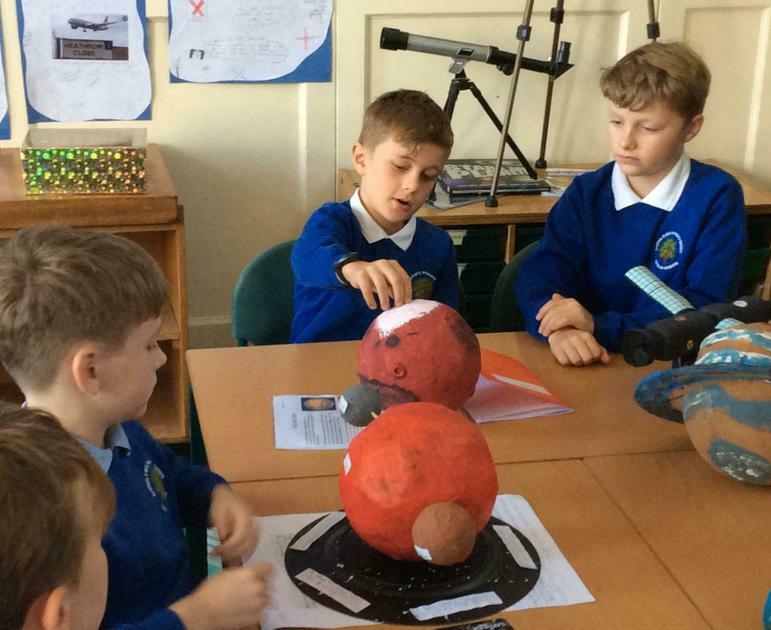 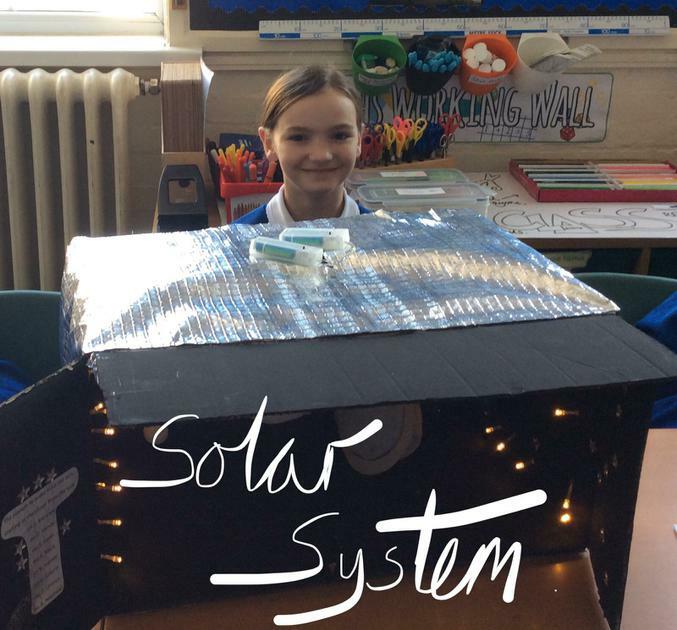 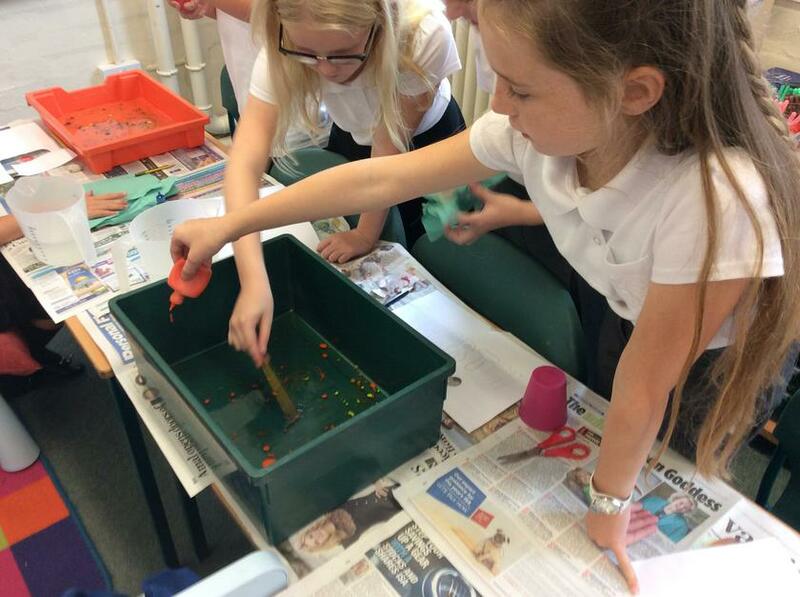 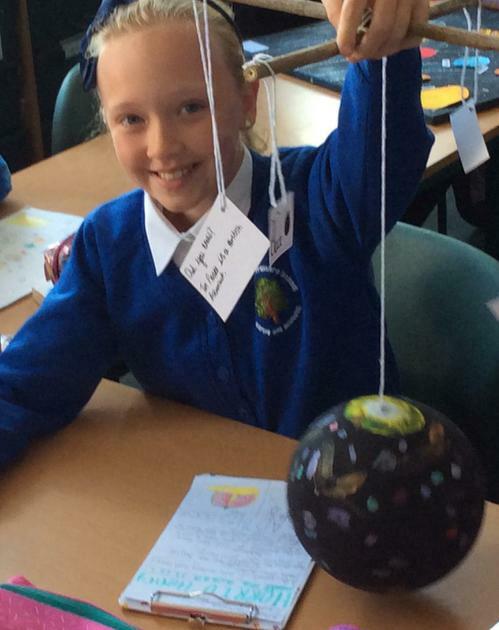 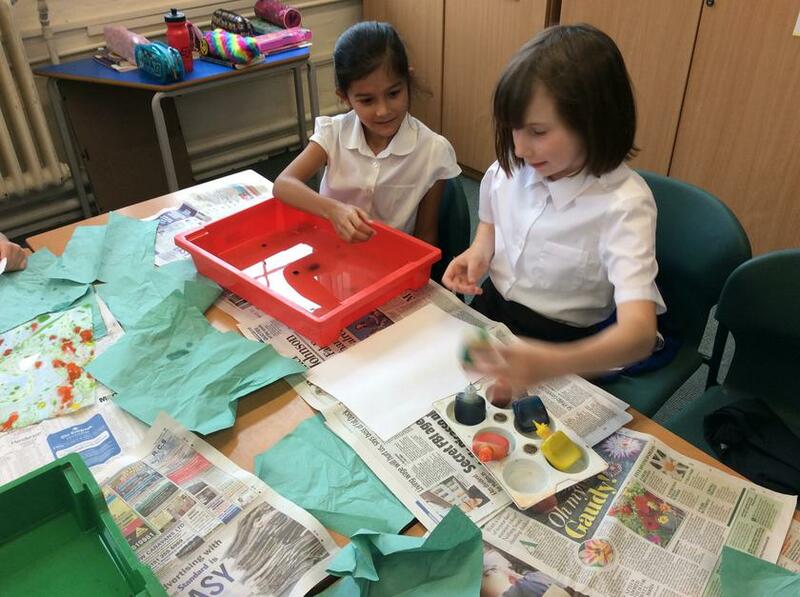 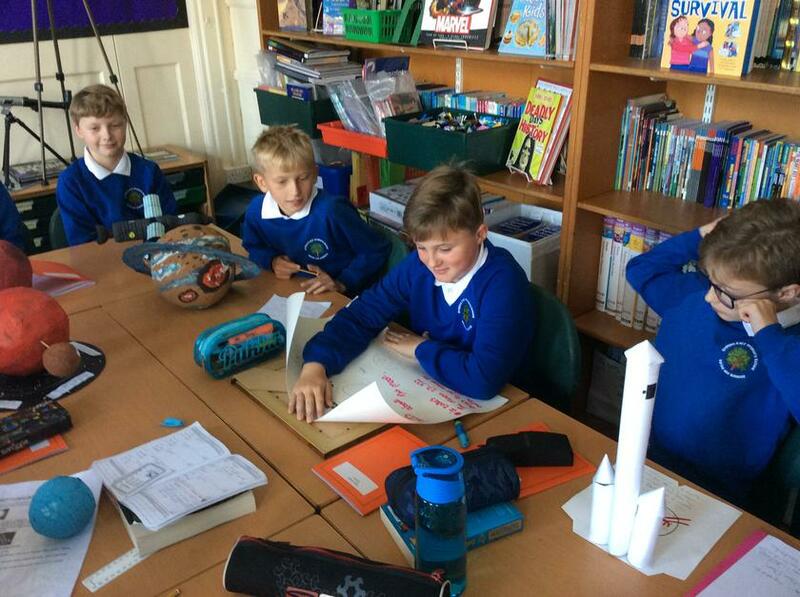 Space is such a fascinating Science topic and each of us had made a model or planet. 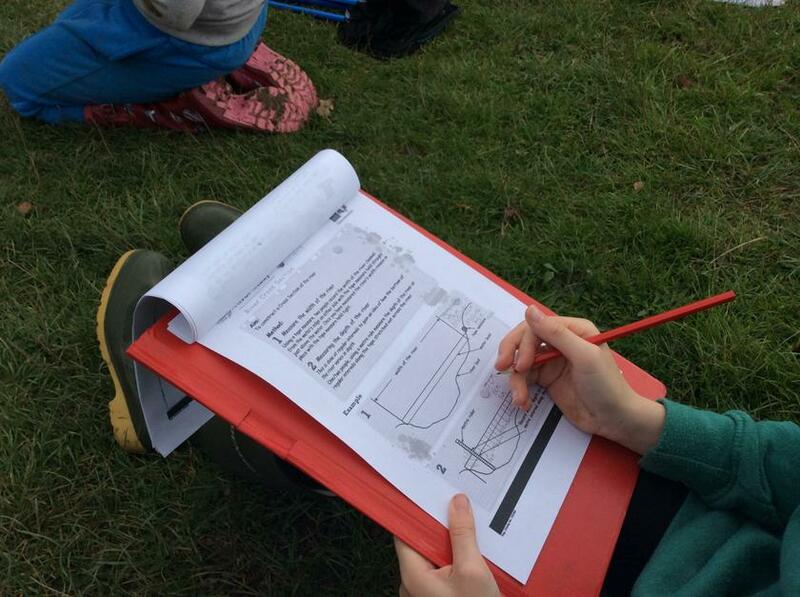 A huge thank you to all the adults and pupils who worked on their tasks. 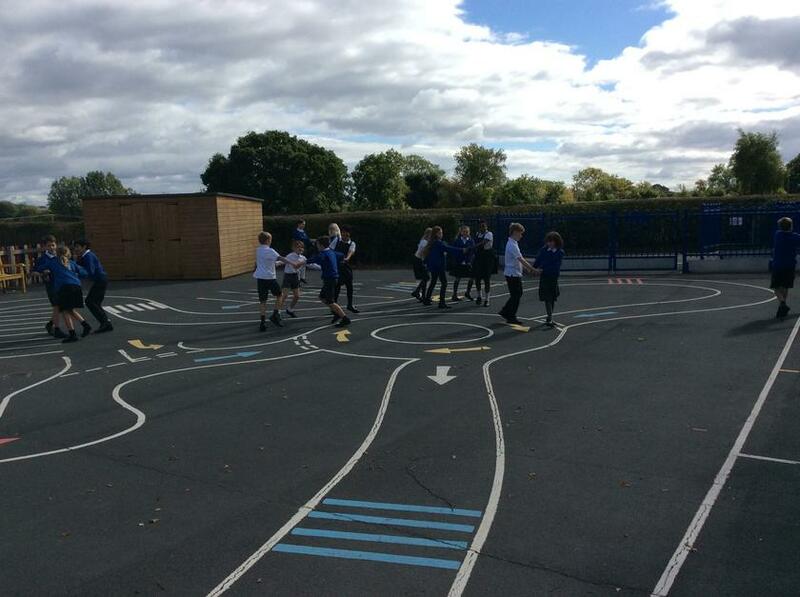 Great fun and such a great effort. 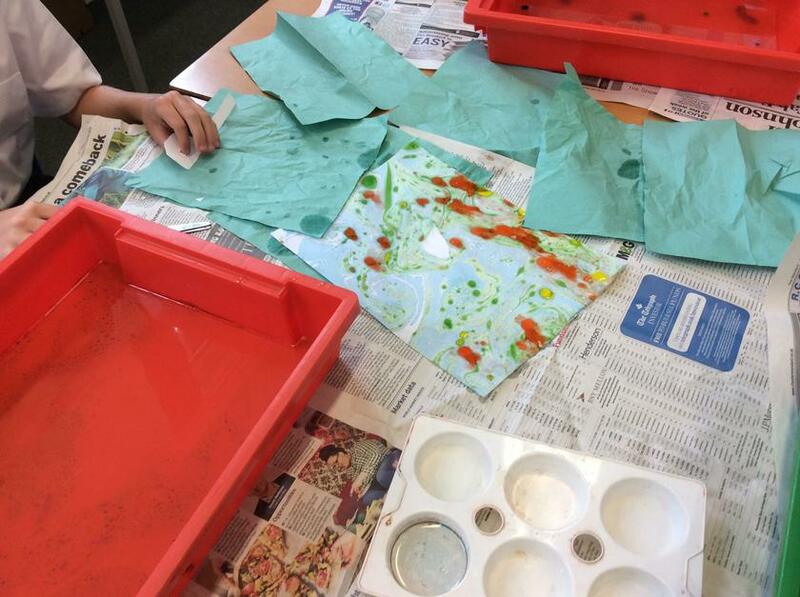 We had lots of fun using marbling inks to create our own swirling planet atmospheres. 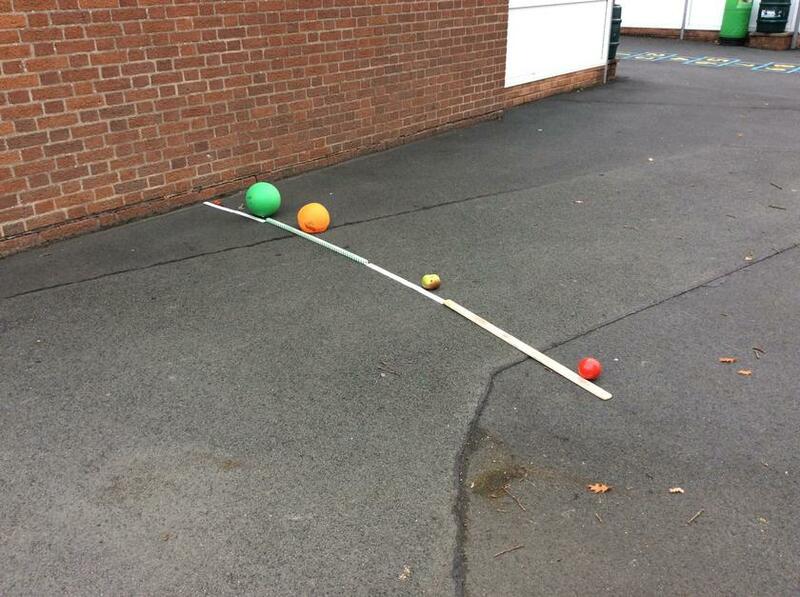 It’s actually really simple. 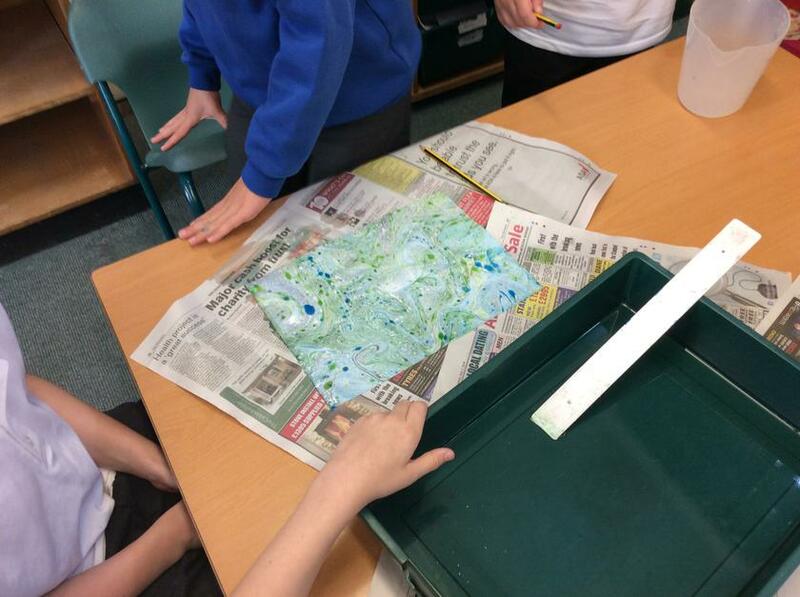 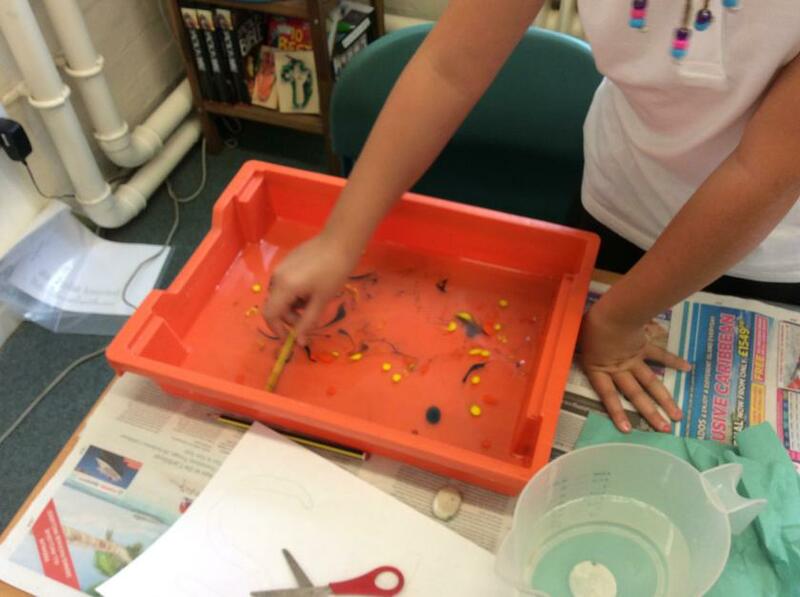 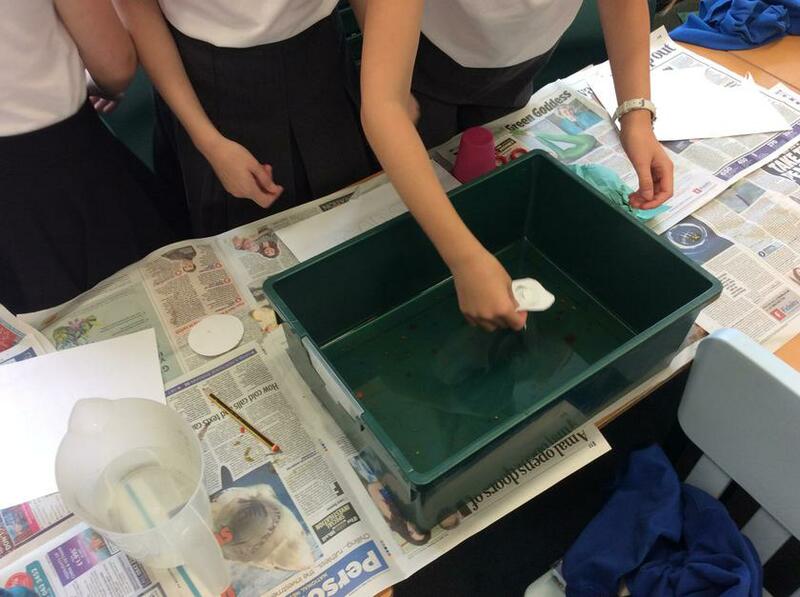 Use a tray with water, add a few drops of ink, swirl and stir then drop your paper into the mix. 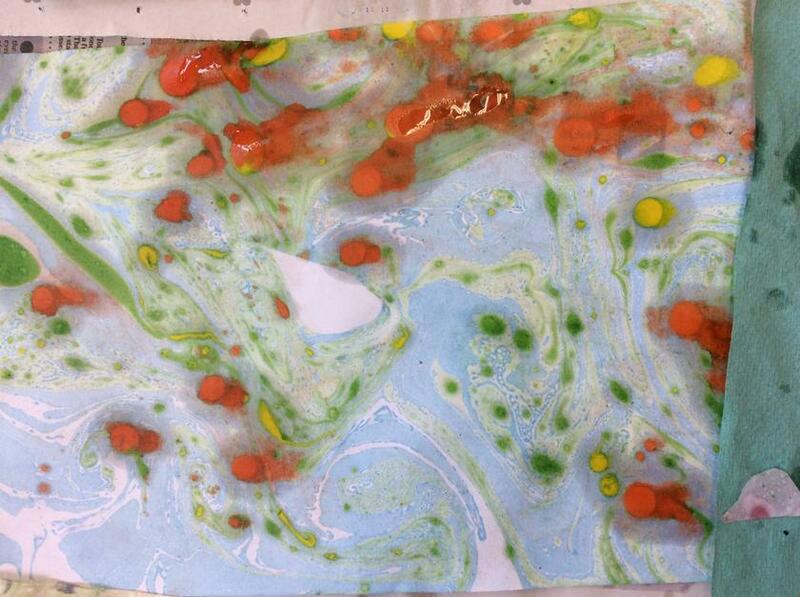 Leave to soak for a few seconds and then lift it out. 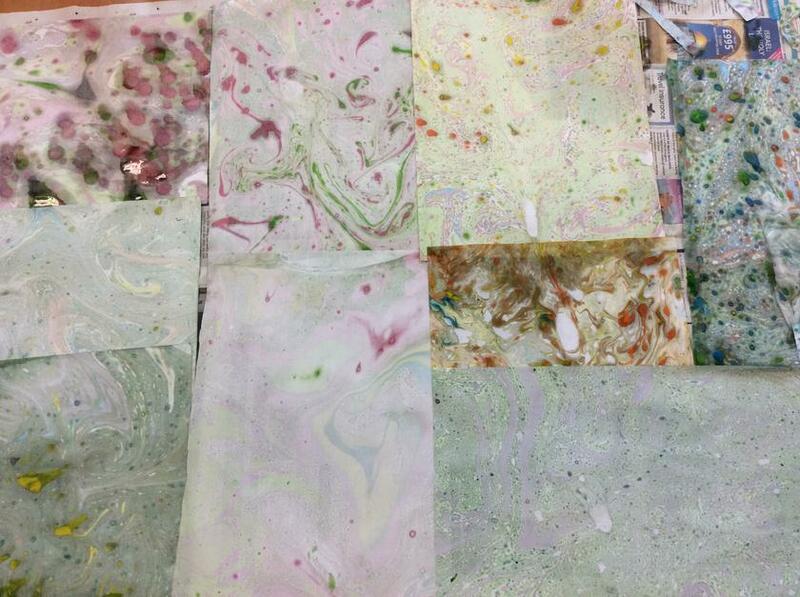 Many of us recognised how the marbling effect resembled giant planets like Jupiter and Saturn.